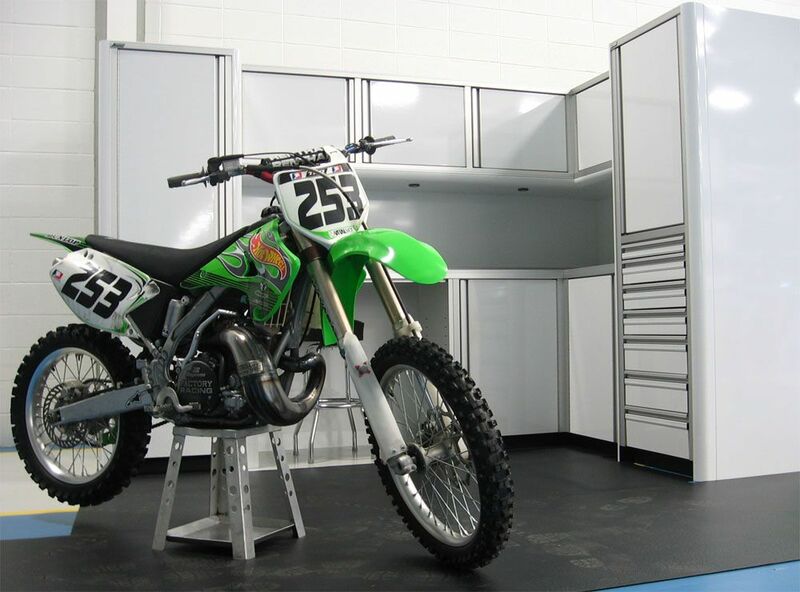 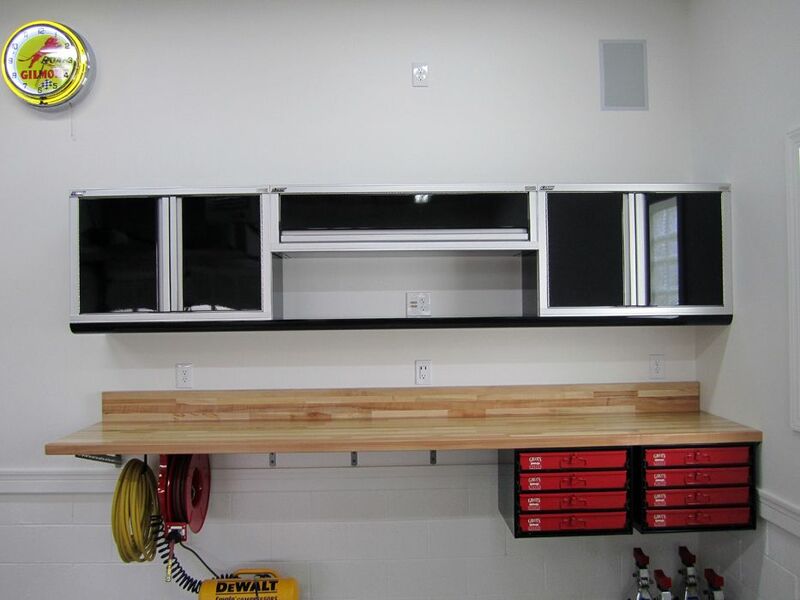 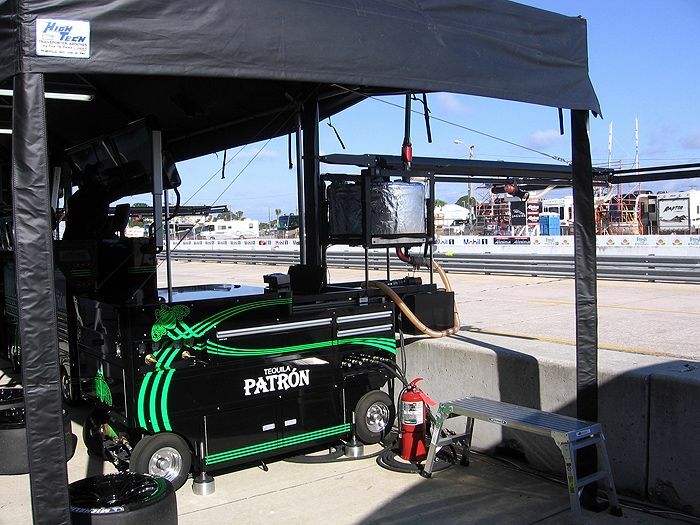 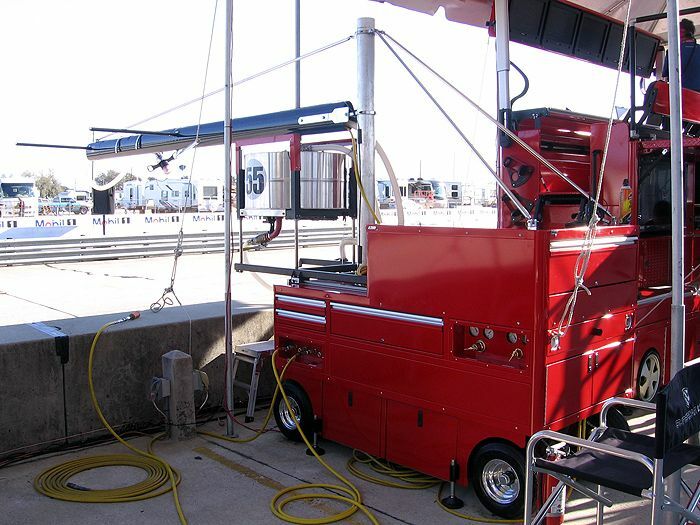 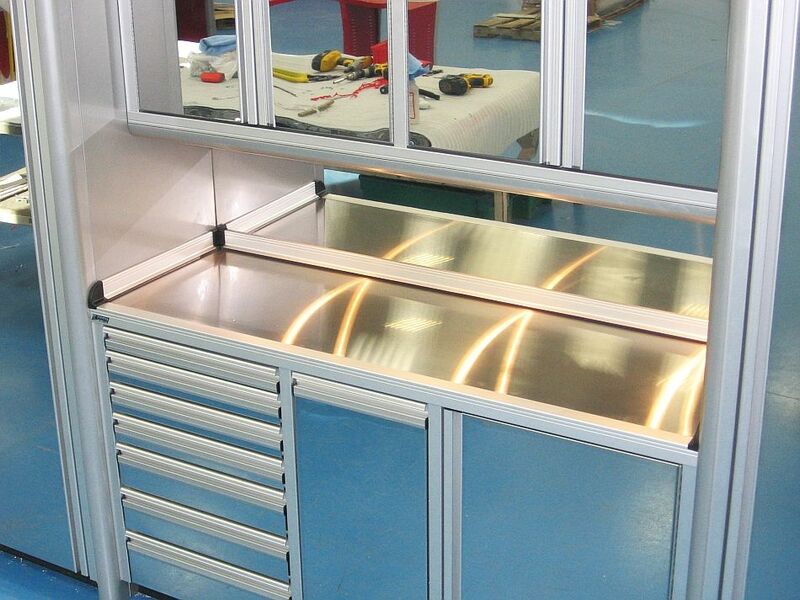 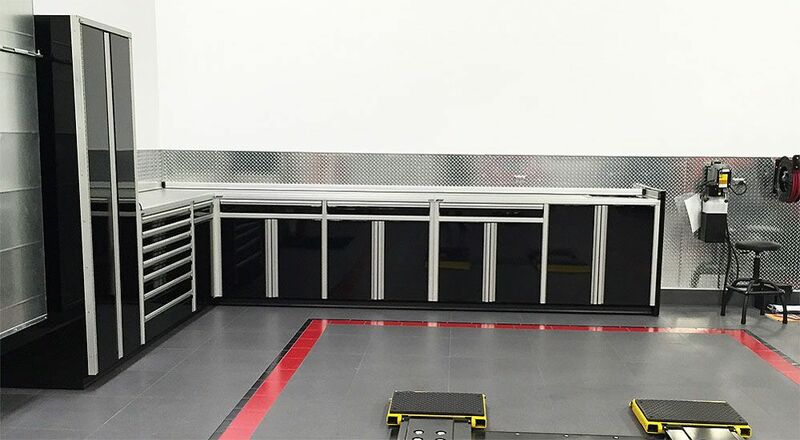 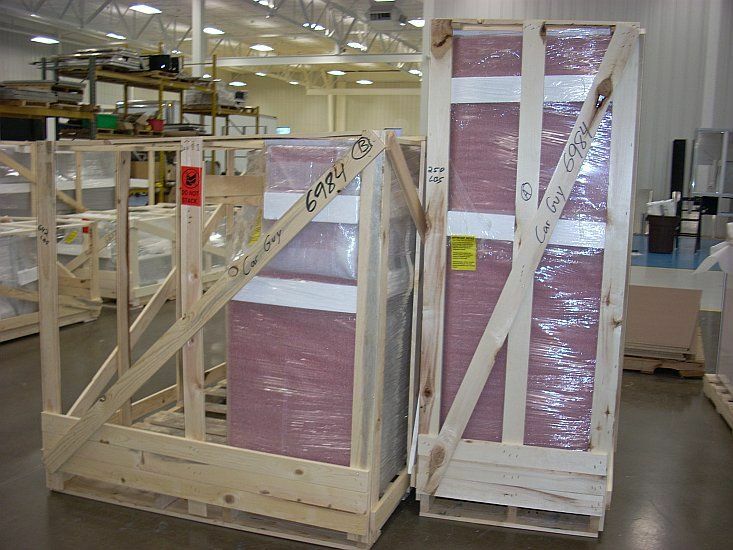 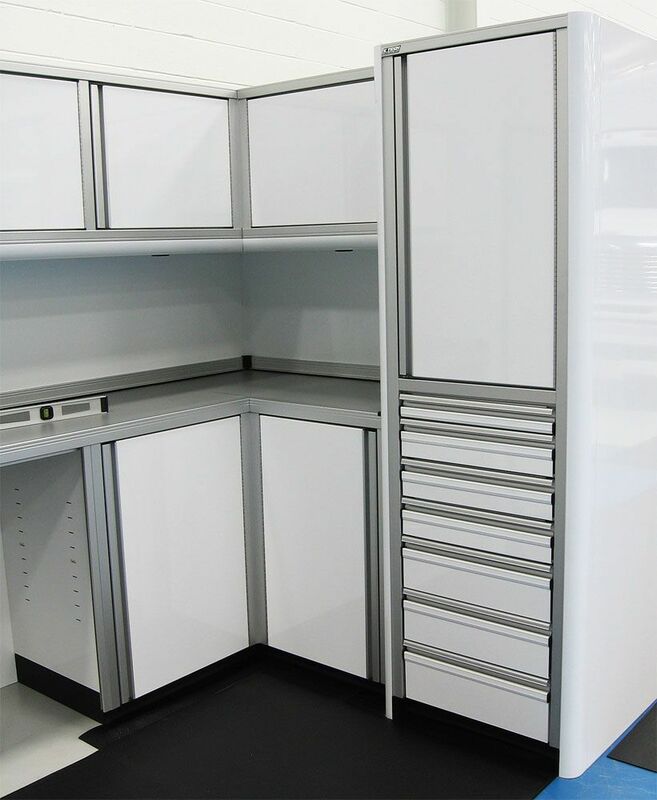 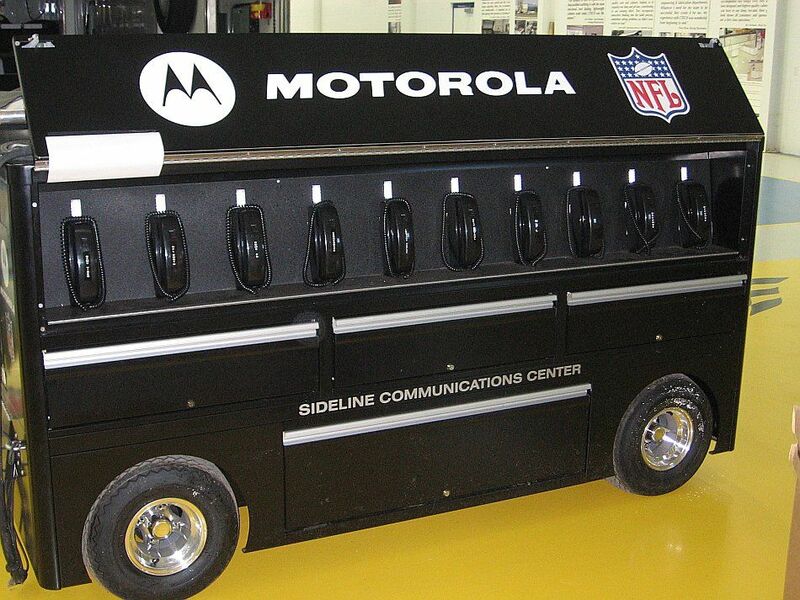 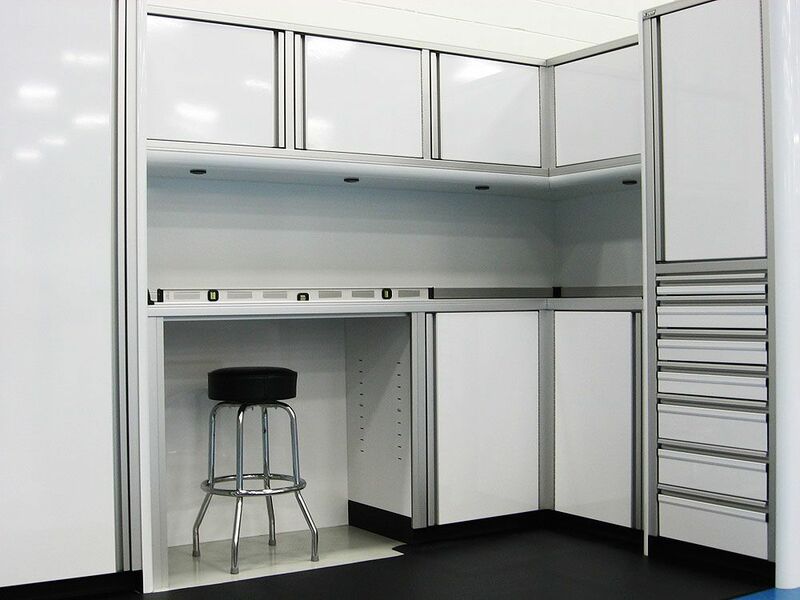 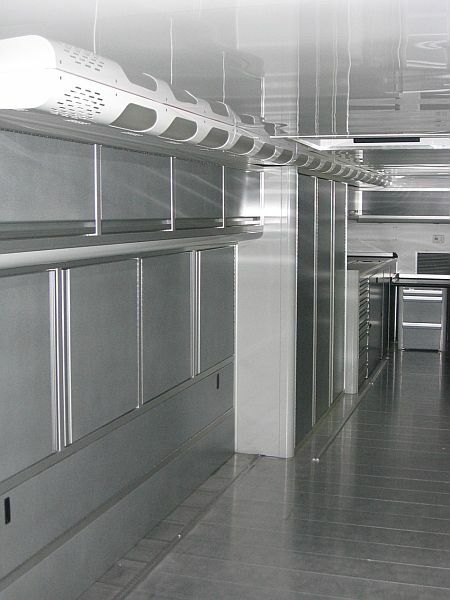 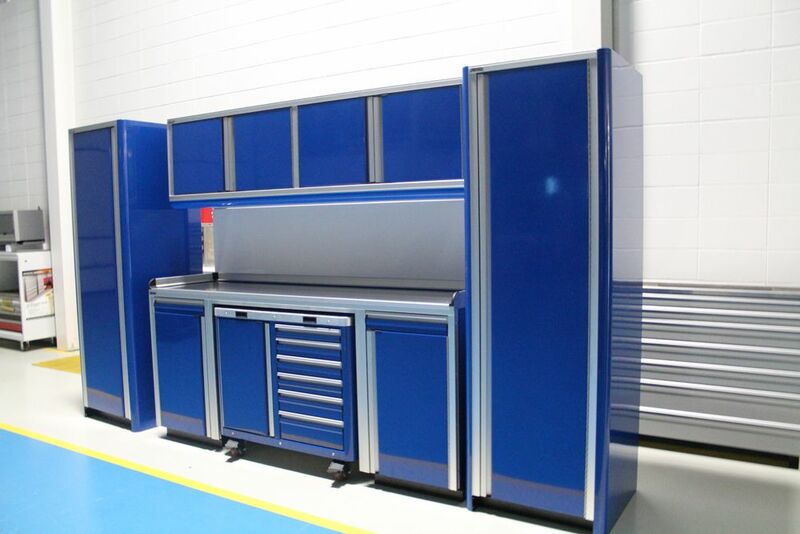 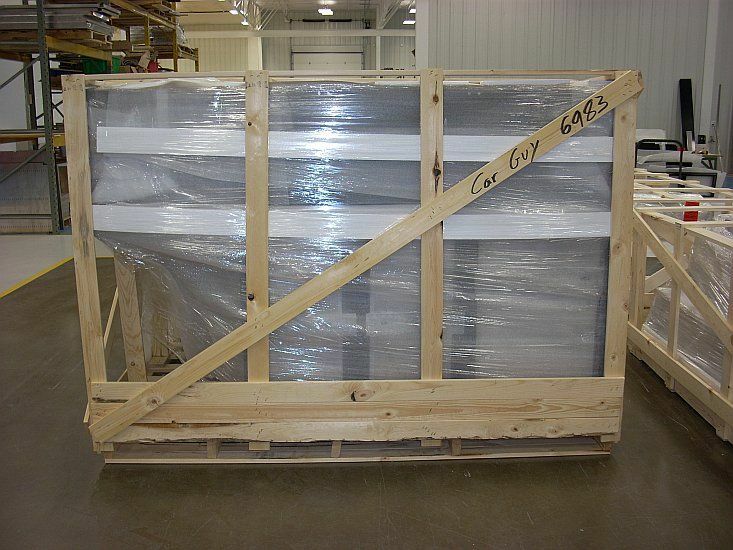 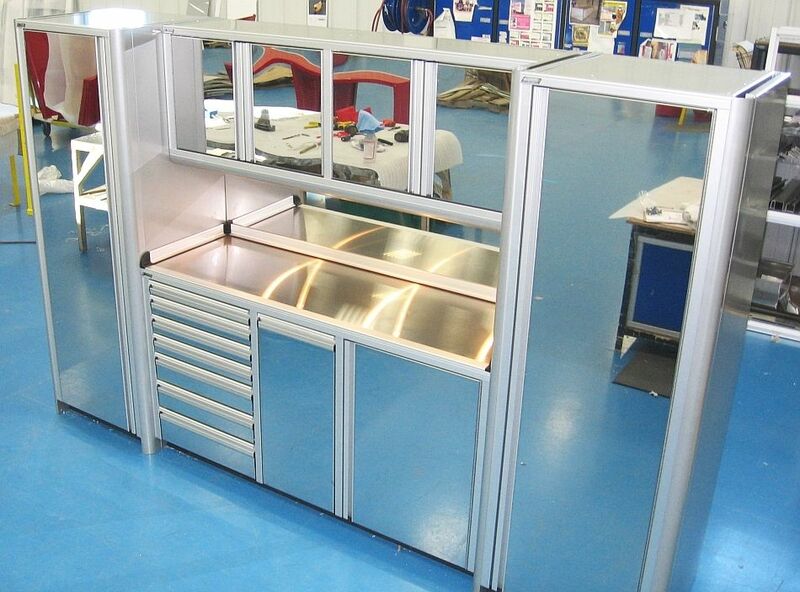 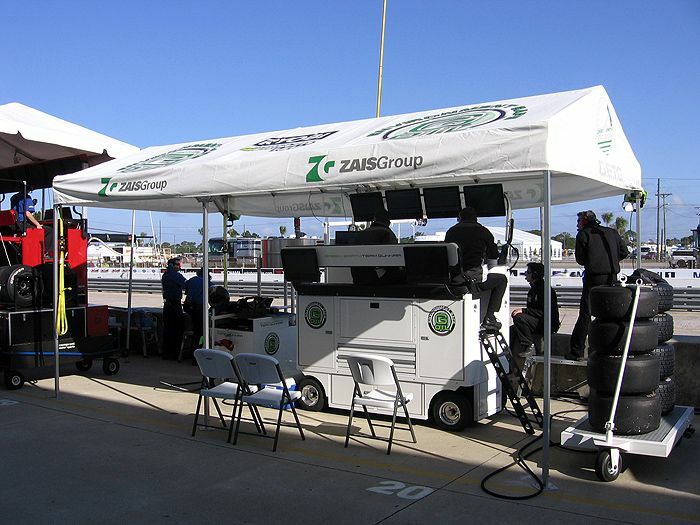 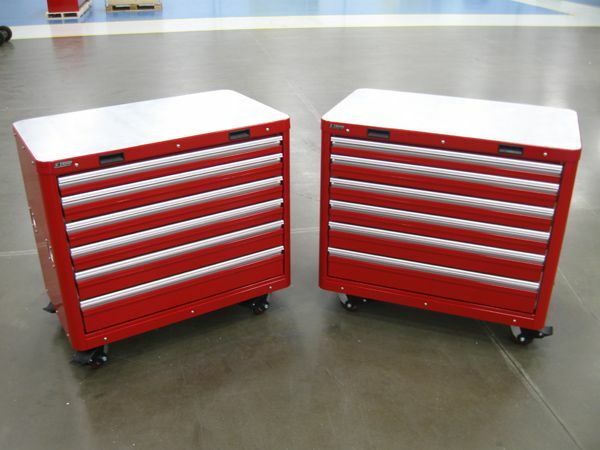 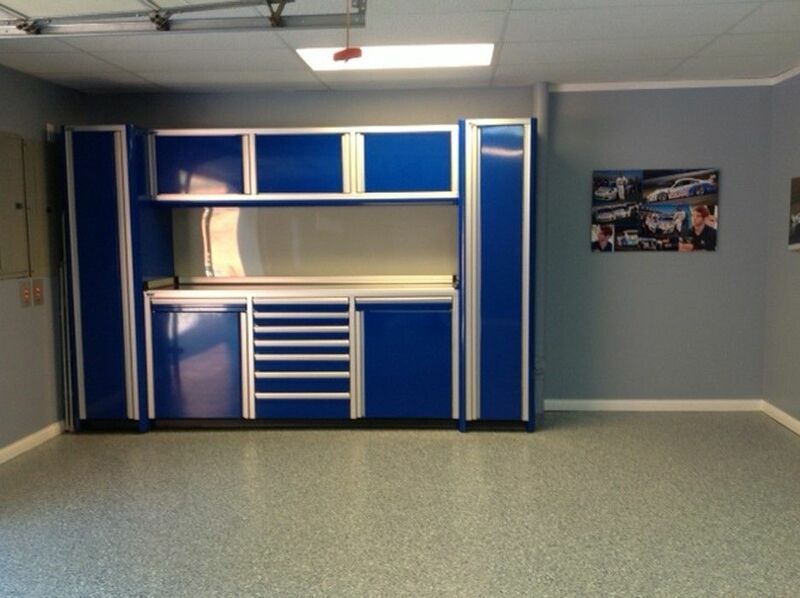 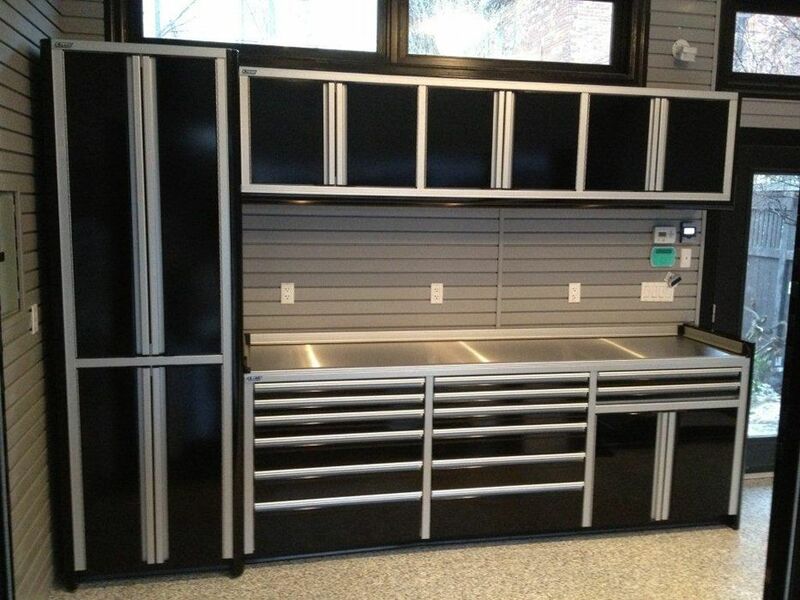 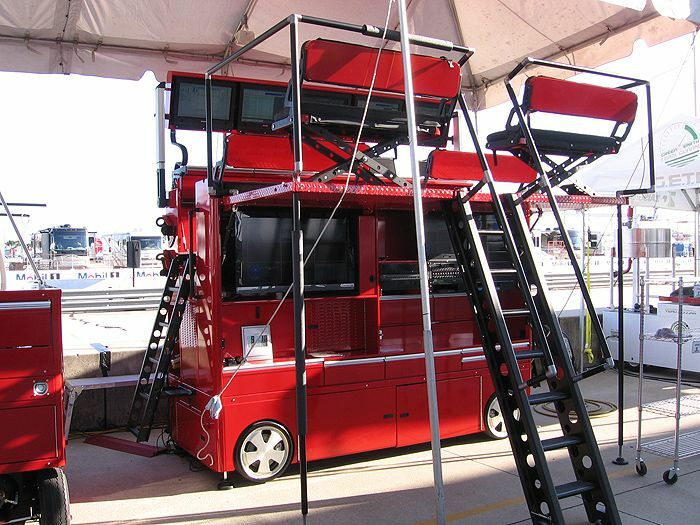 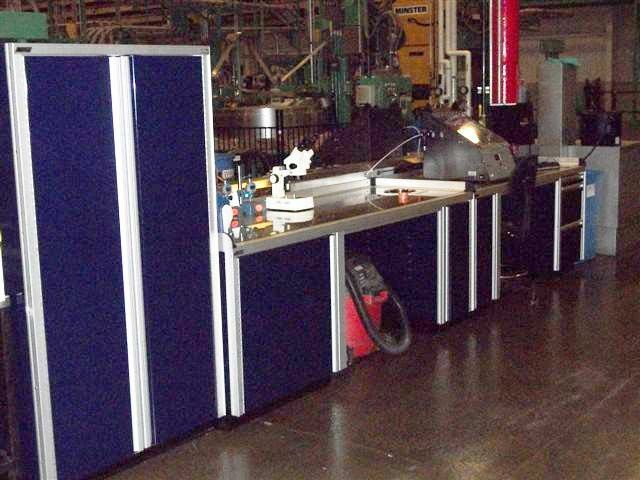 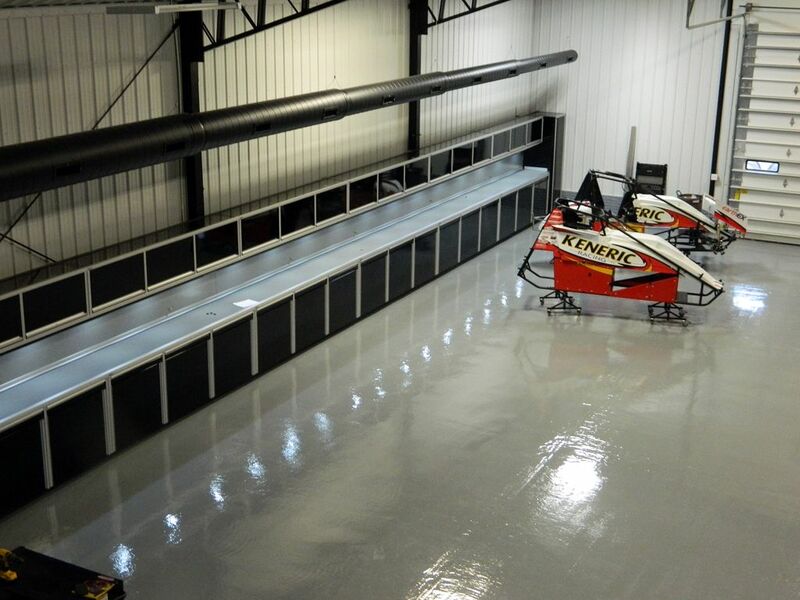 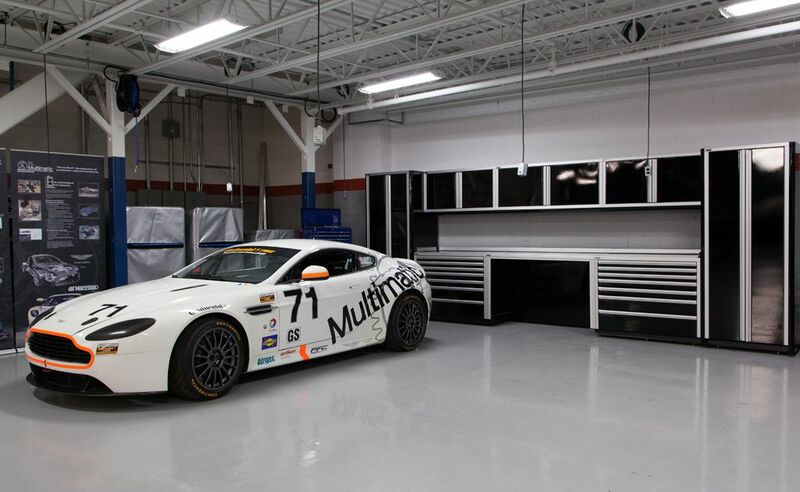 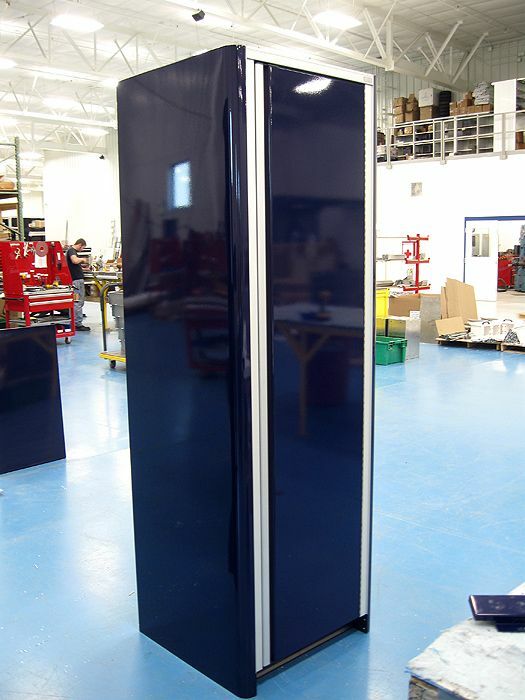 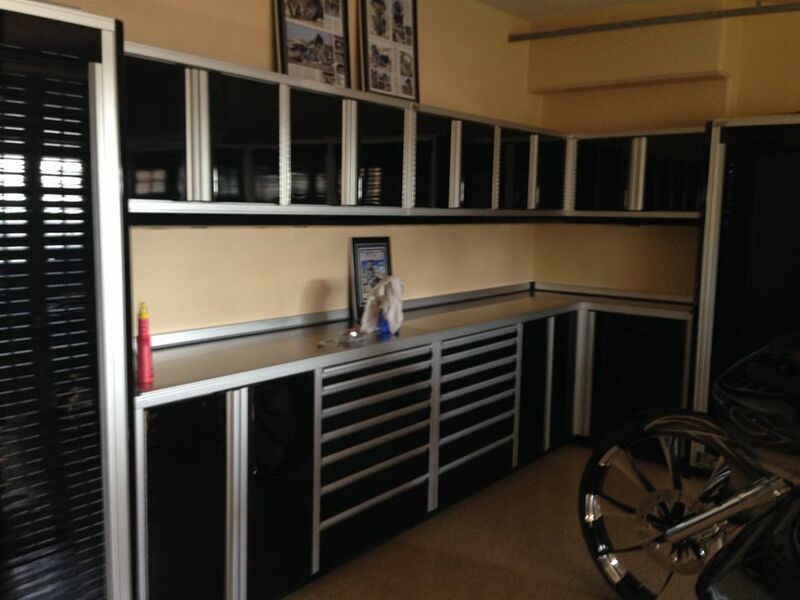 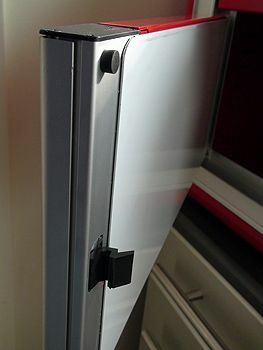 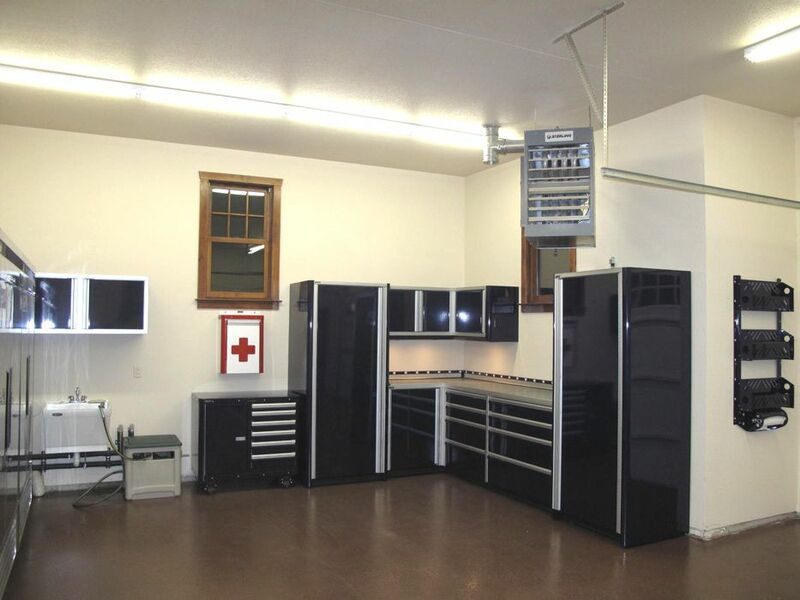 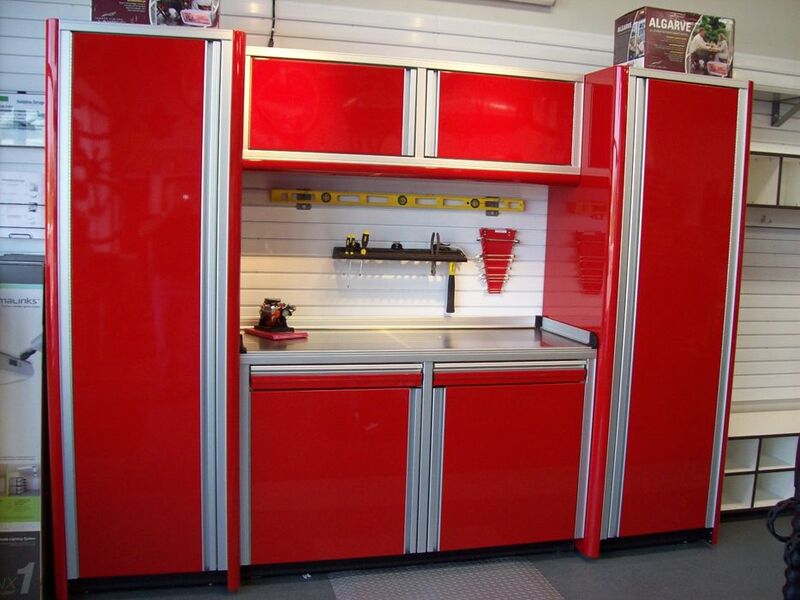 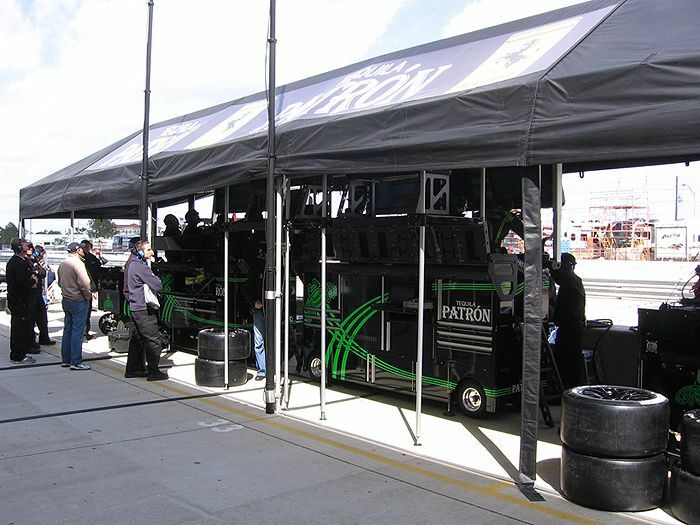 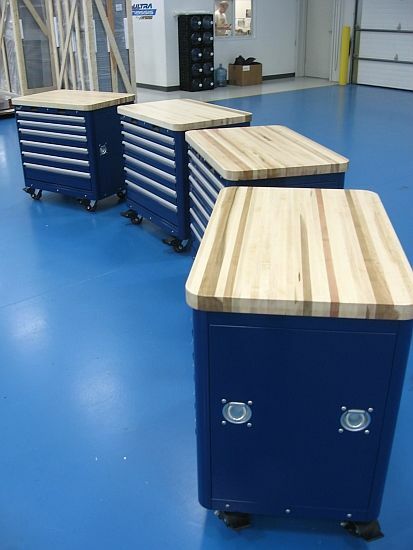 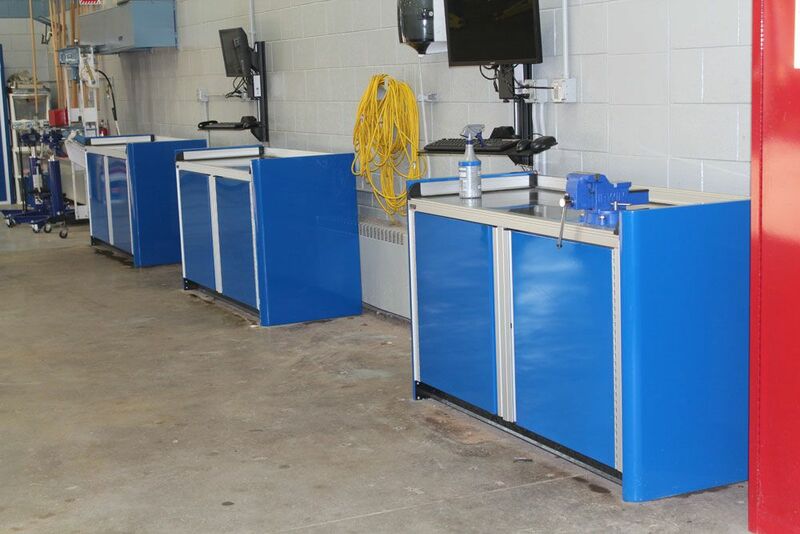 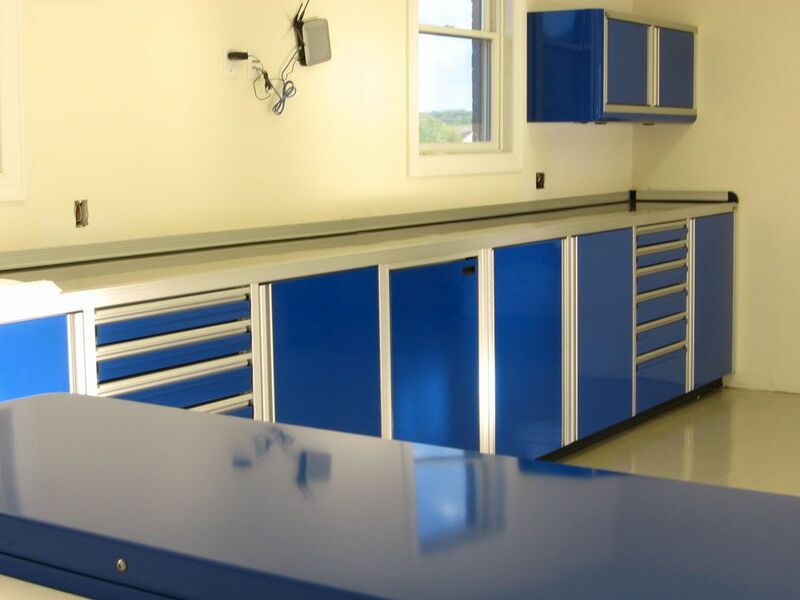 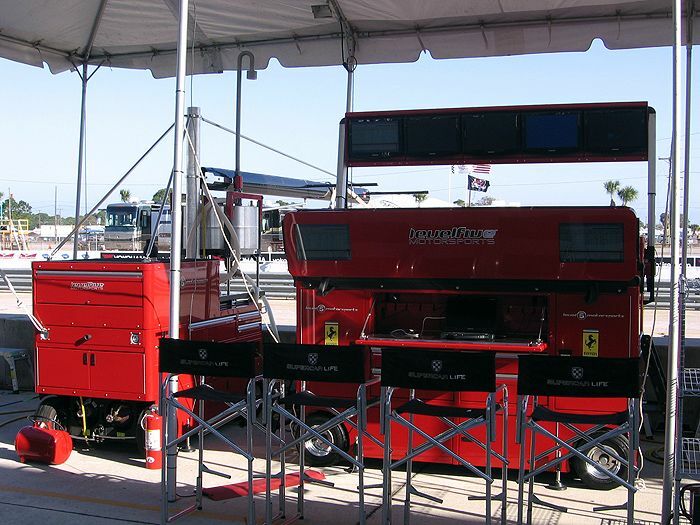 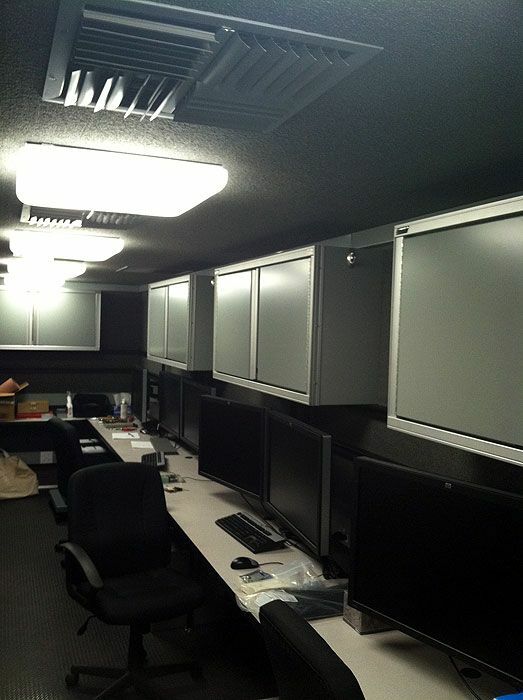 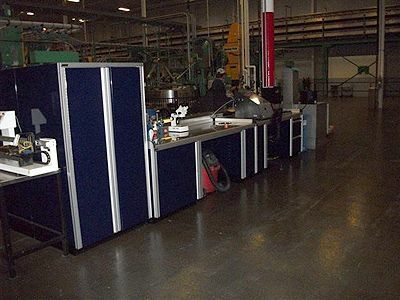 These are the top of the line aluminum cabinets and are the same cabinets used by many professional race teams. 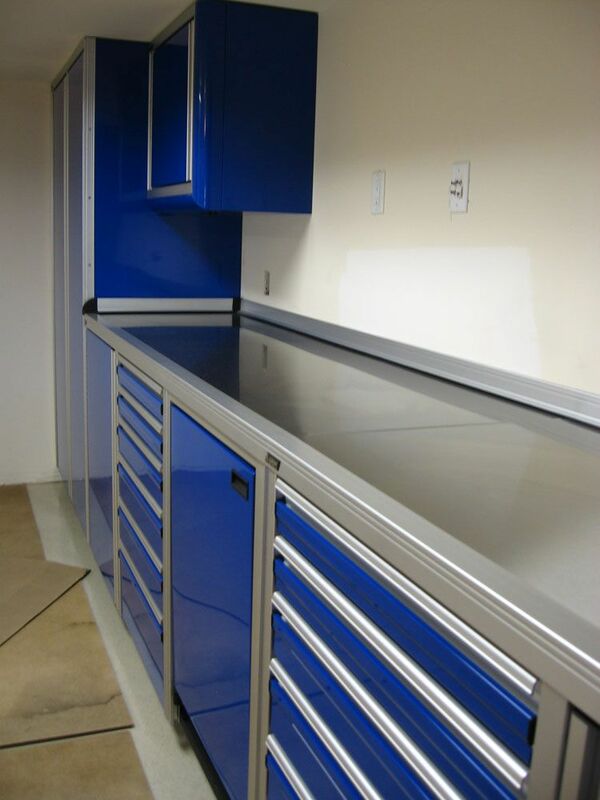 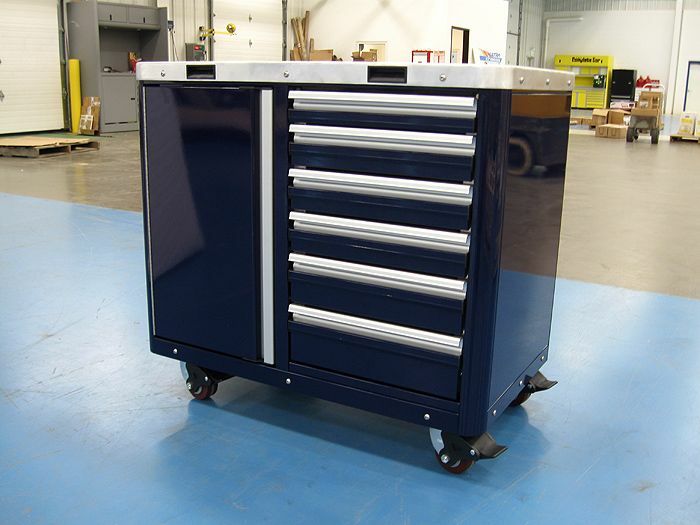 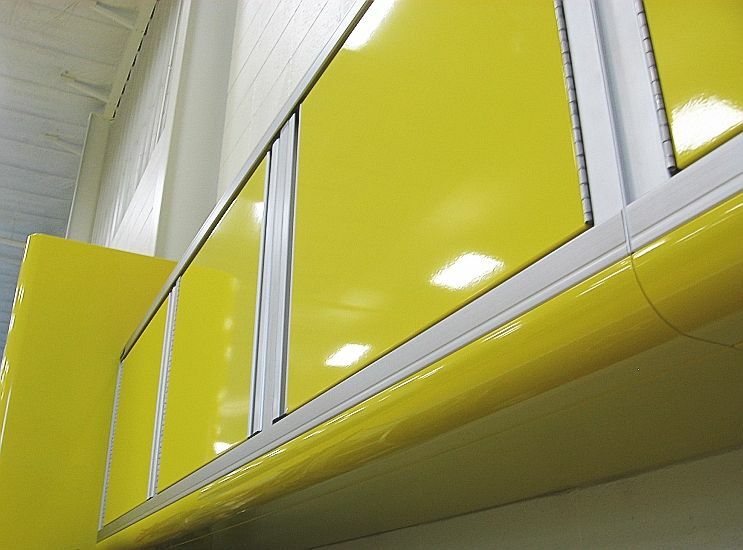 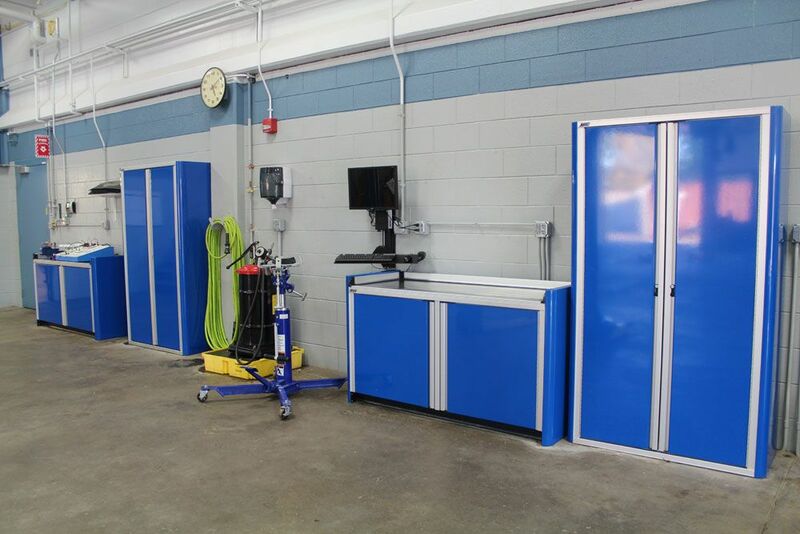 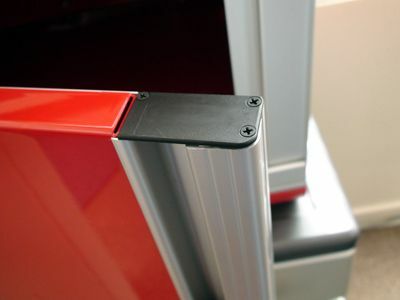 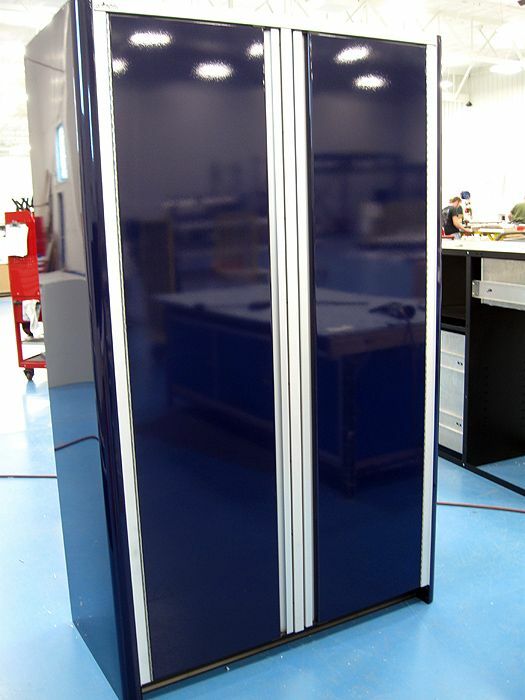 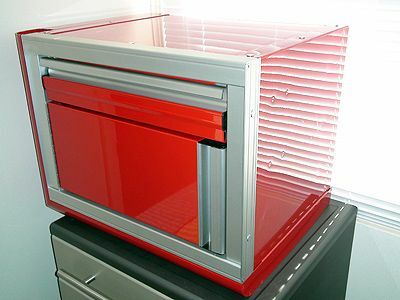 These heavy duty aluminum cabinets are made in the USA and can be configured to fit your exact storage space, they can even be powder coated to match the color of your car. 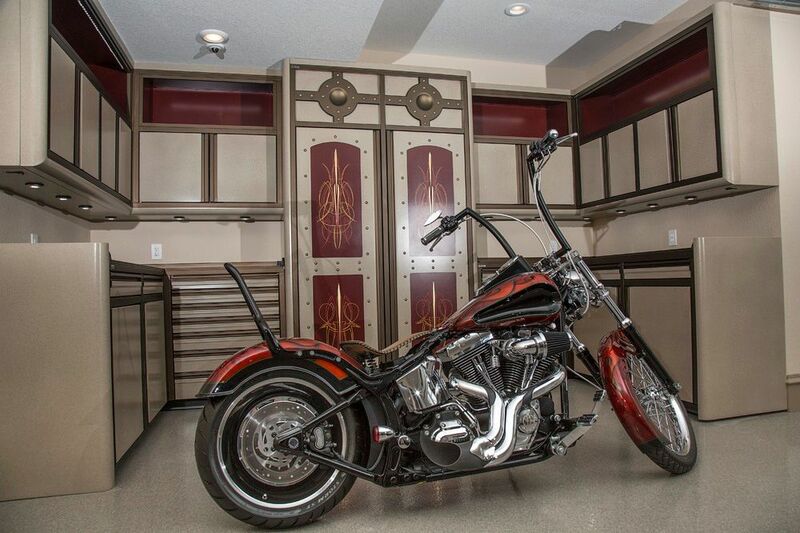 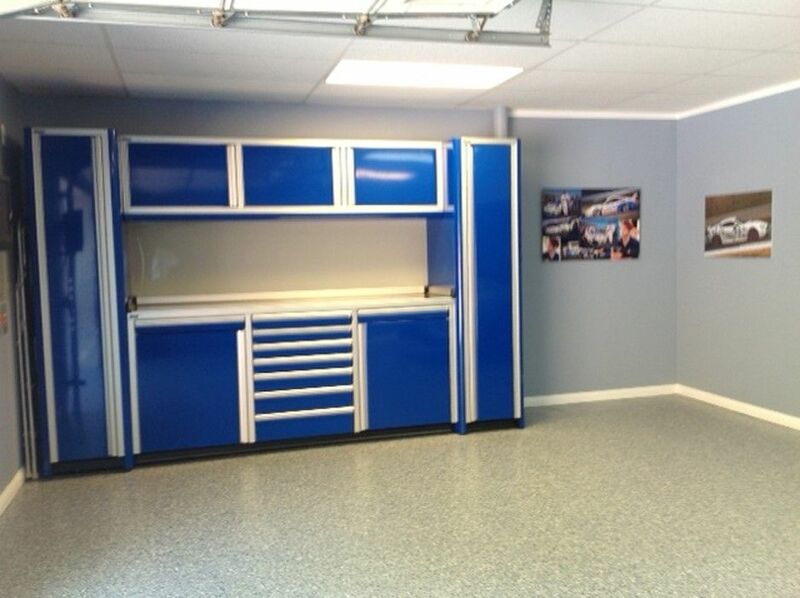 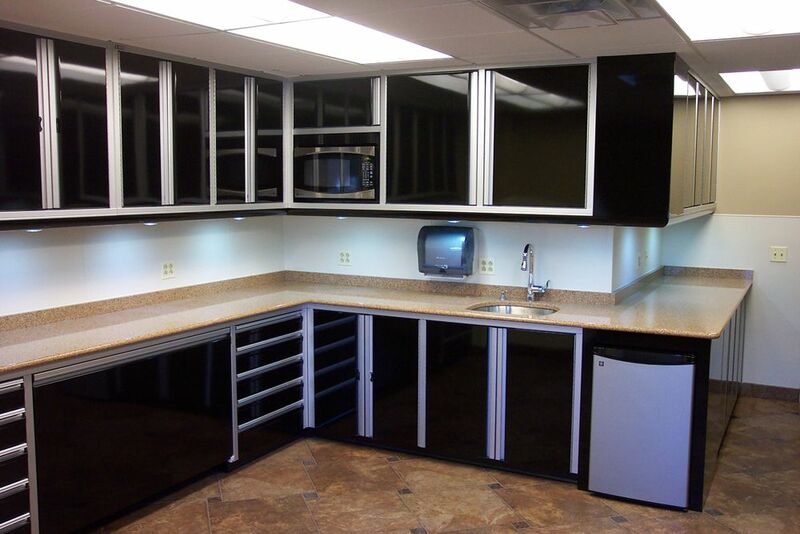 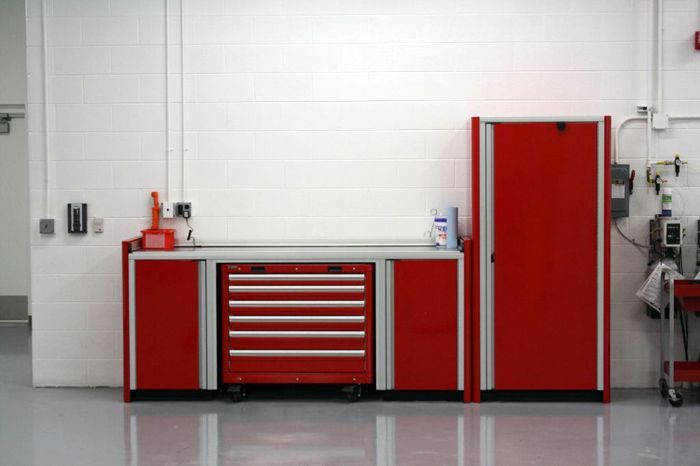 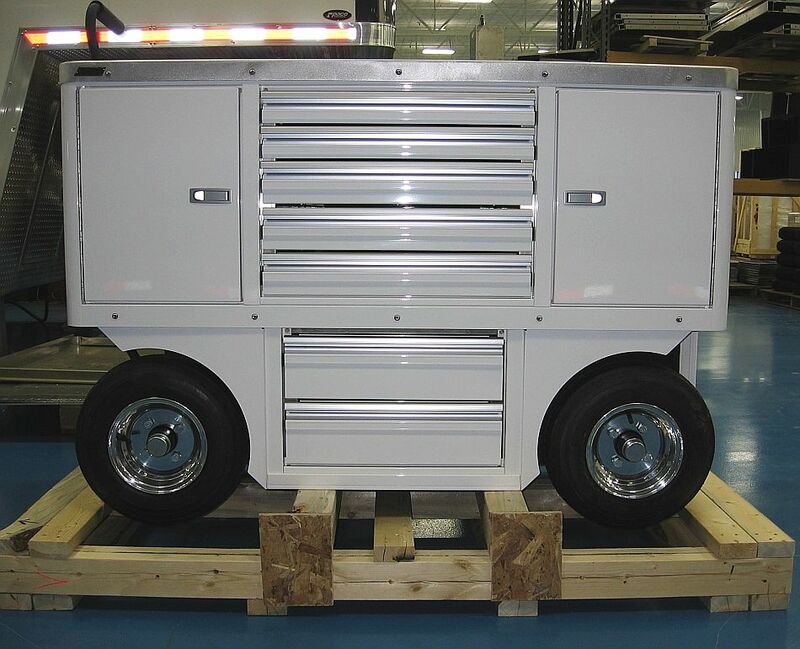 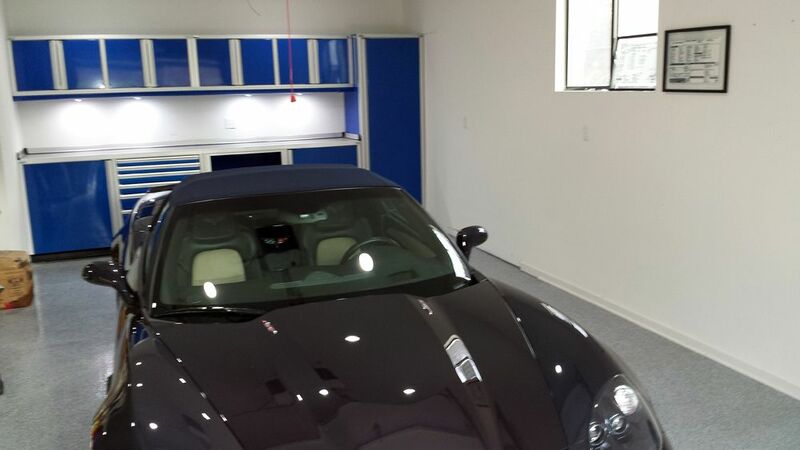 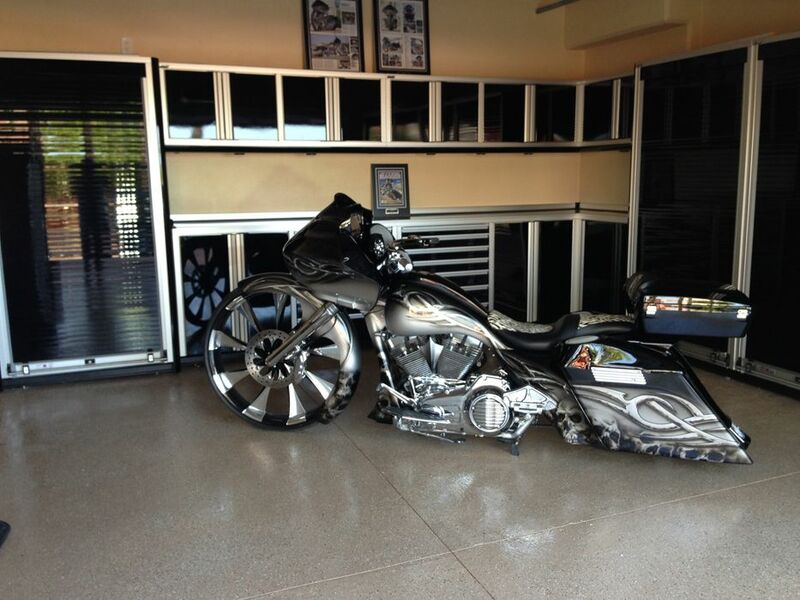 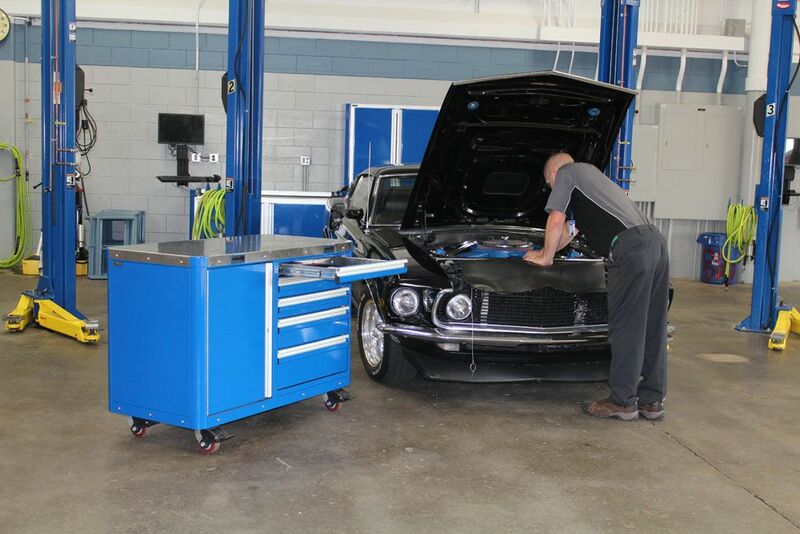 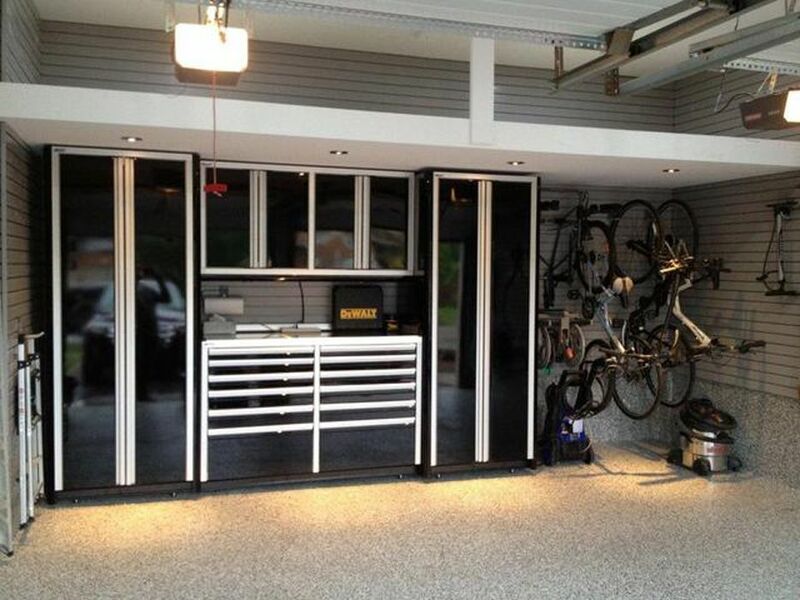 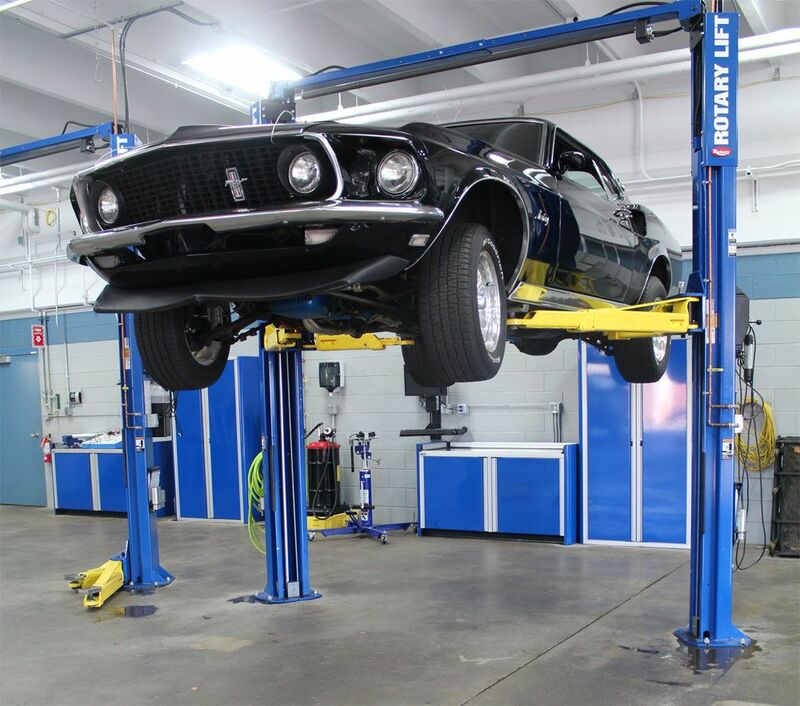 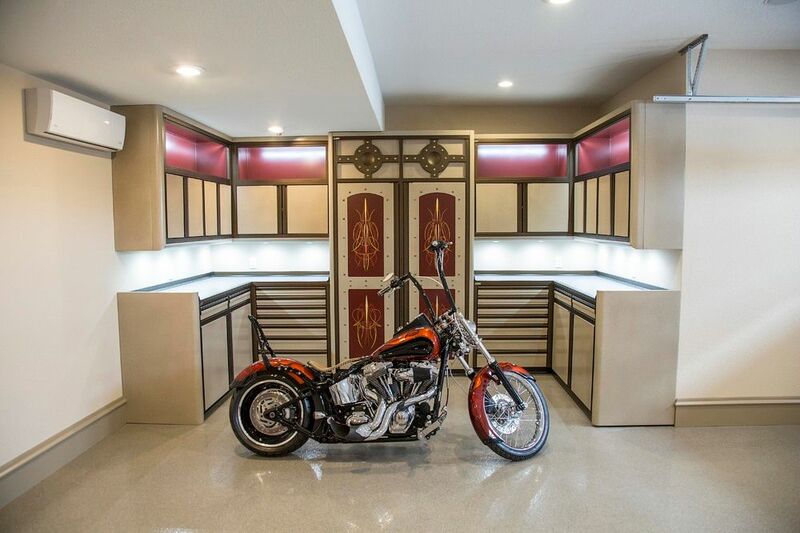 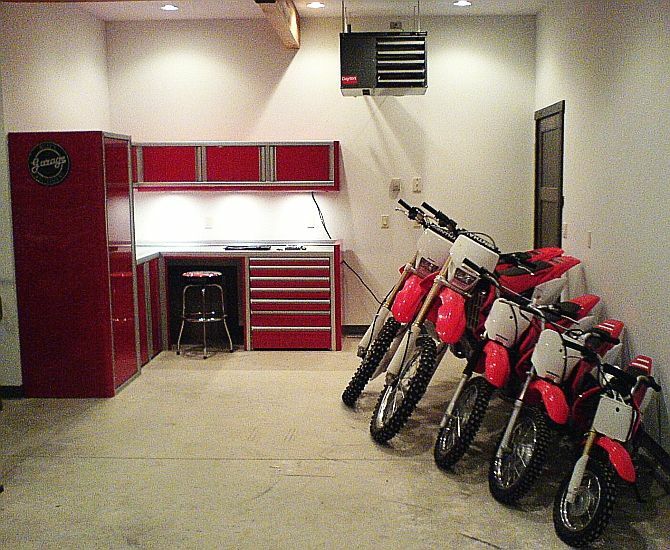 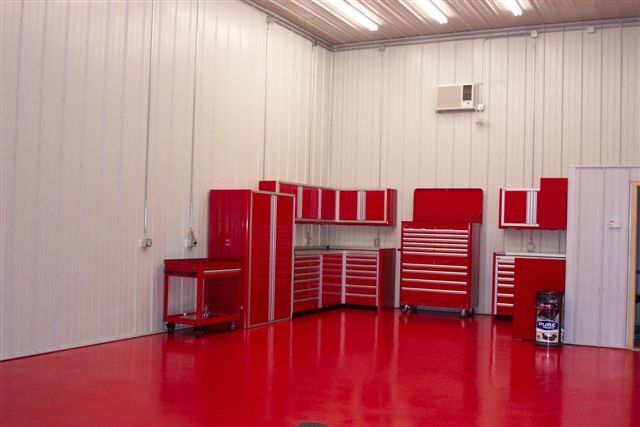 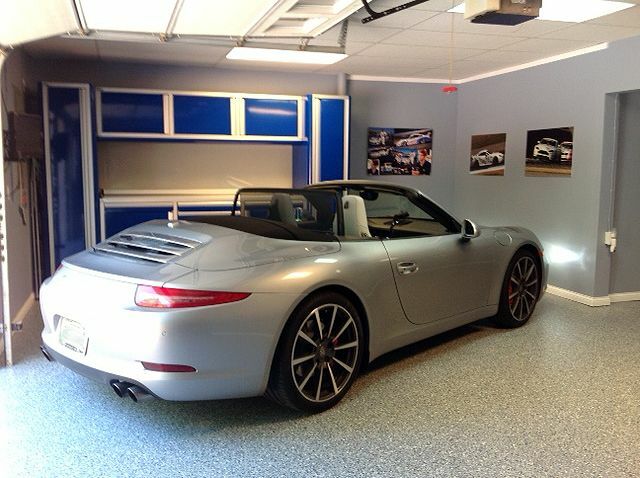 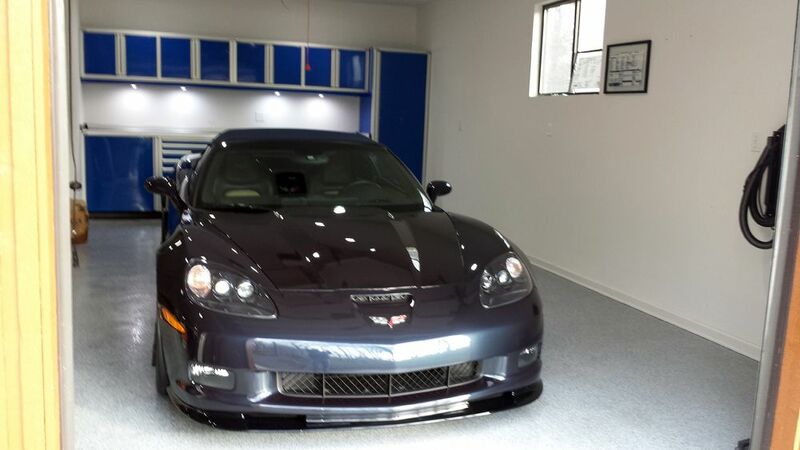 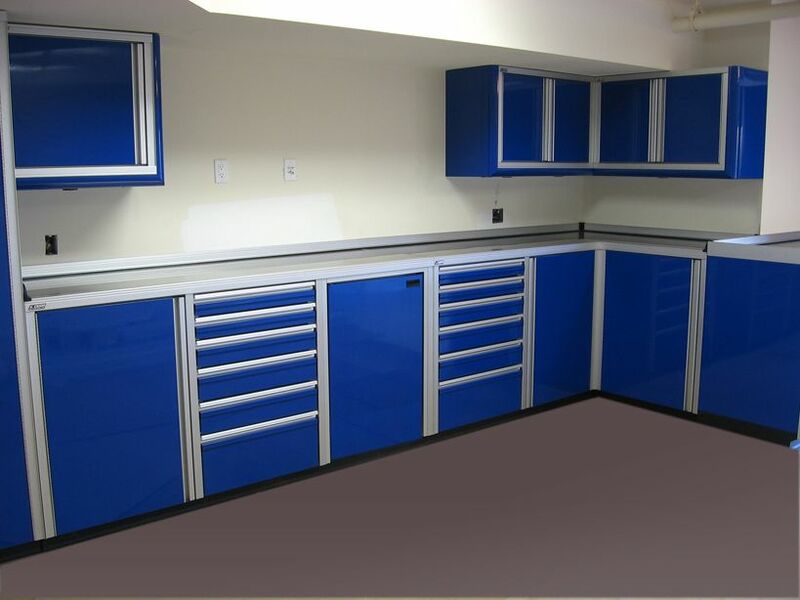 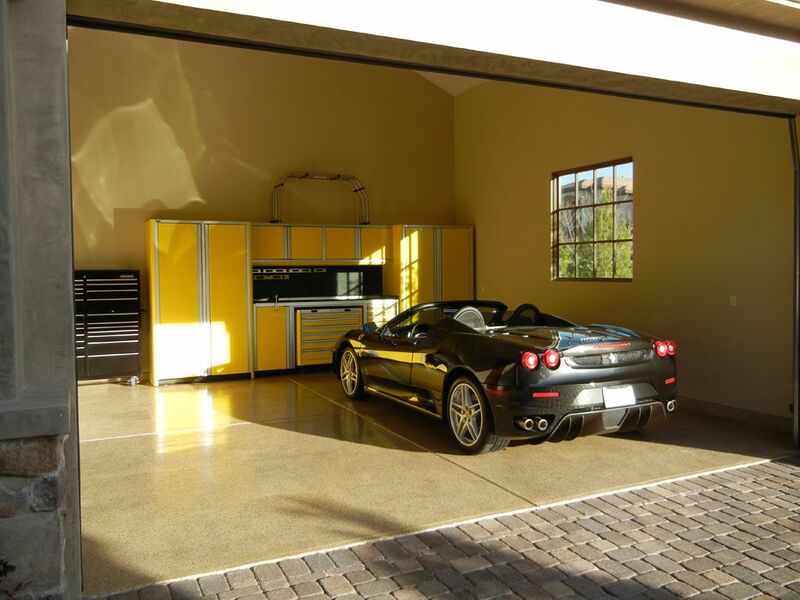 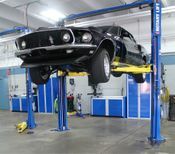 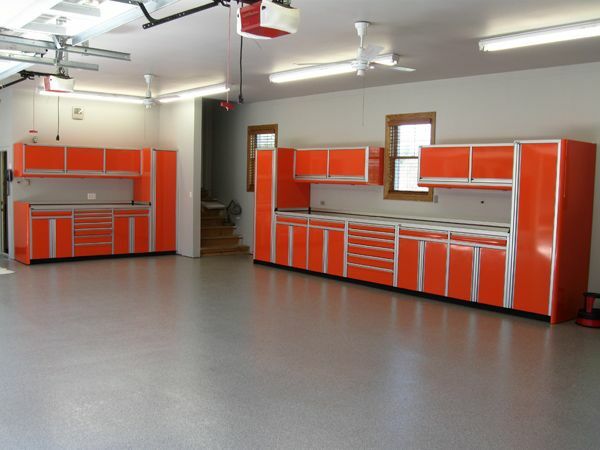 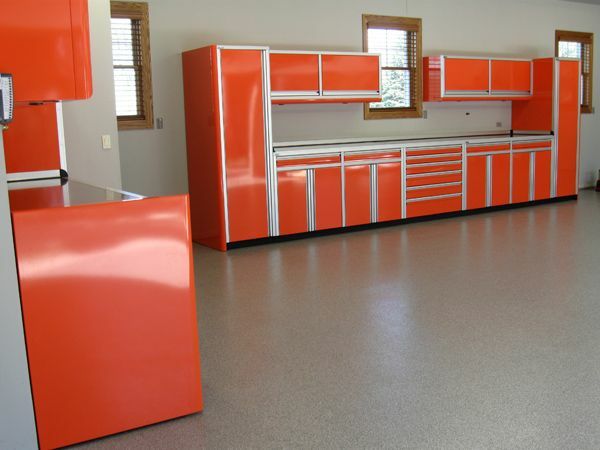 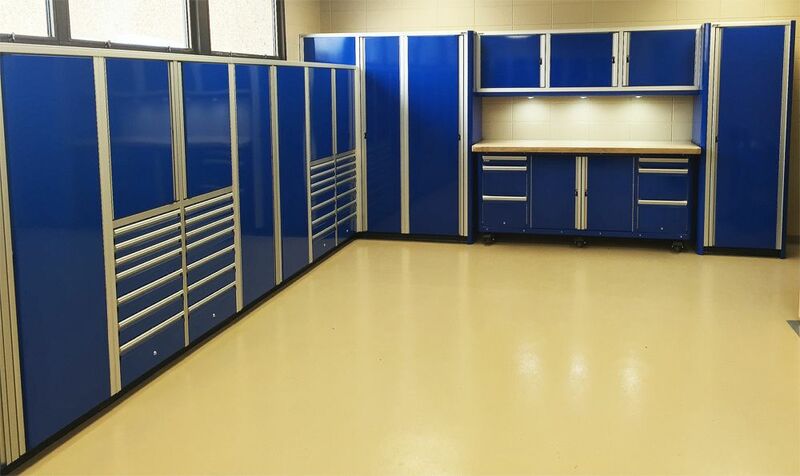 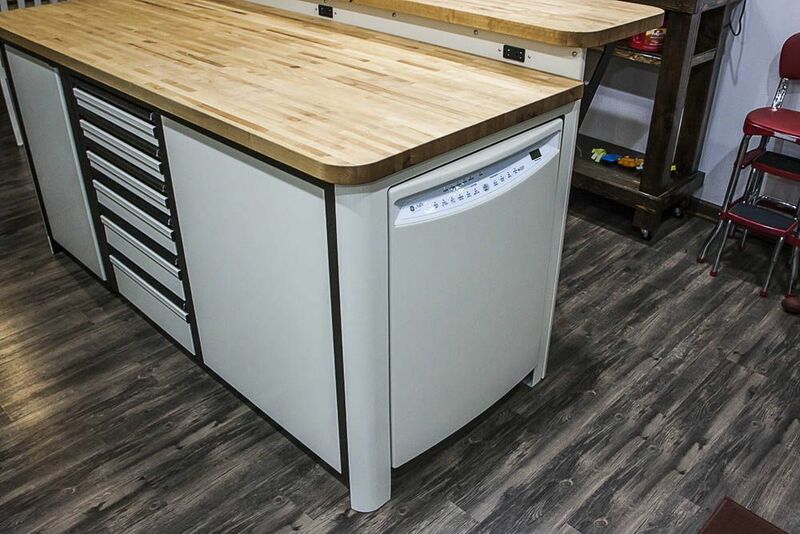 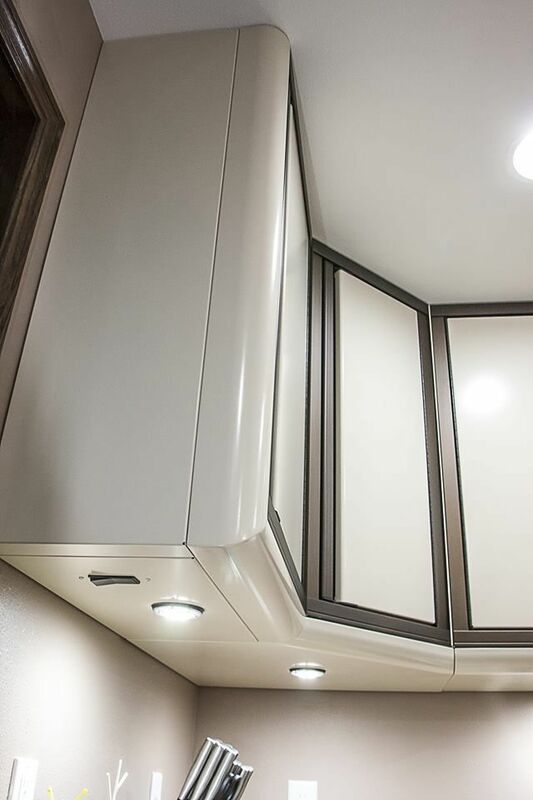 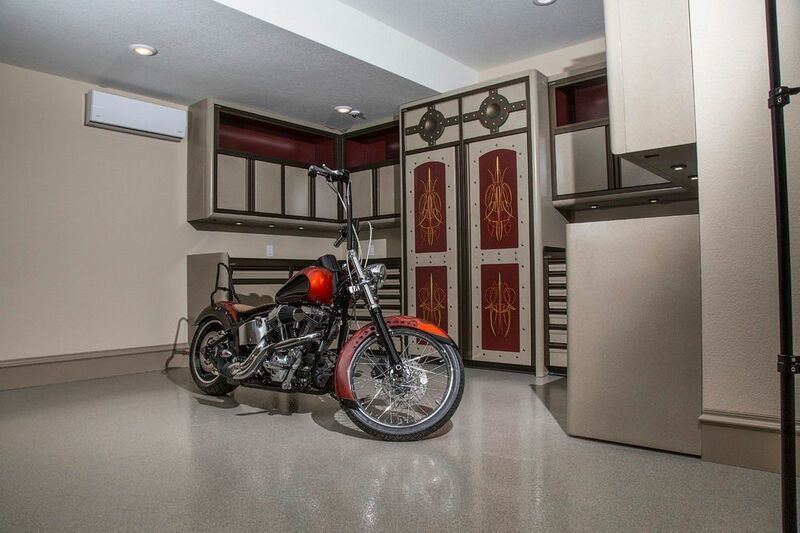 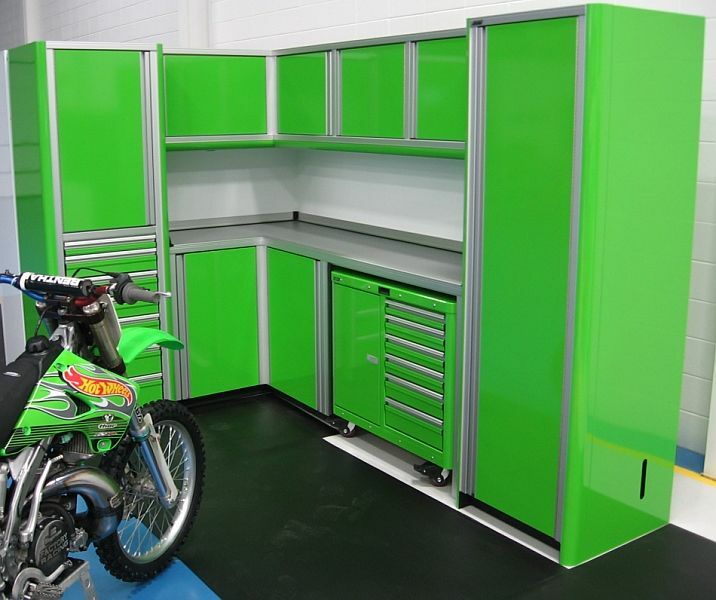 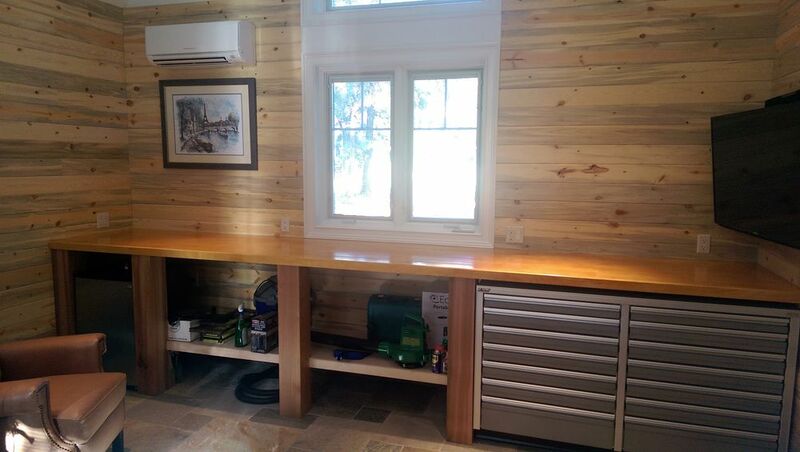 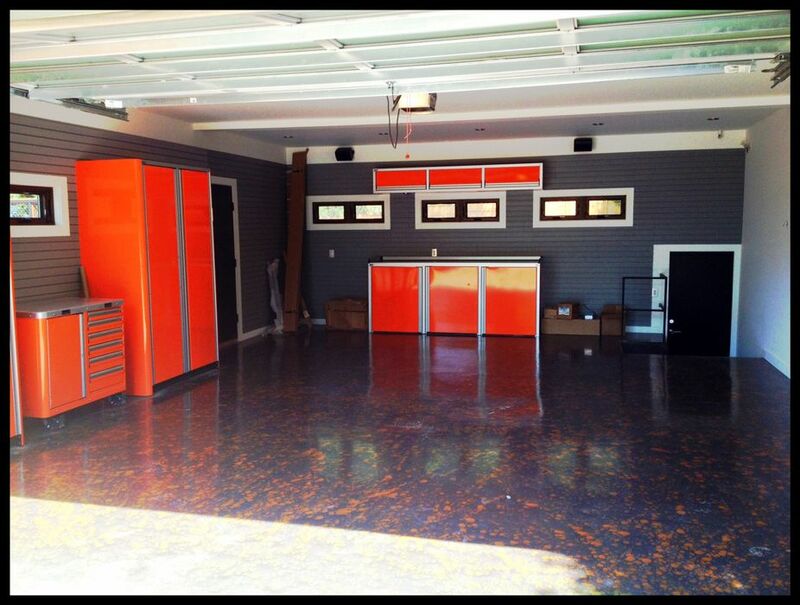 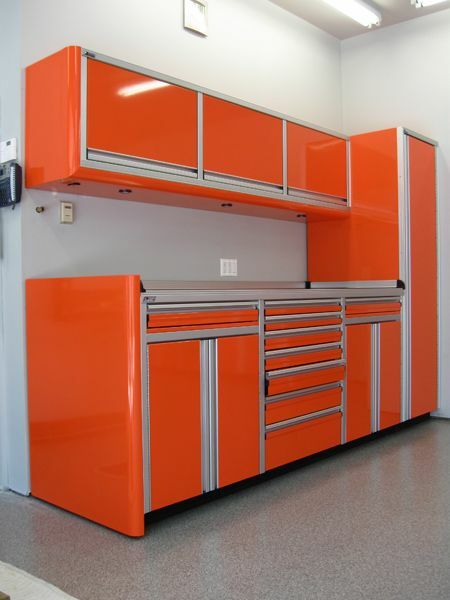 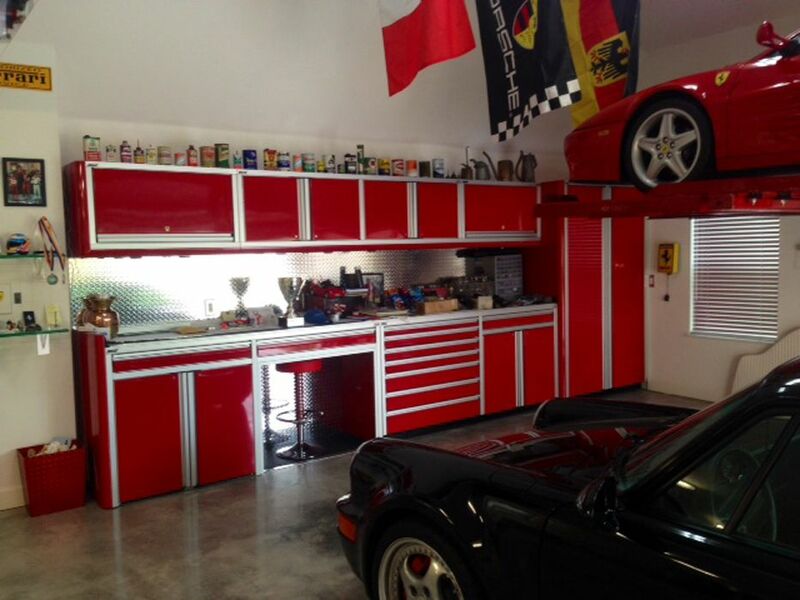 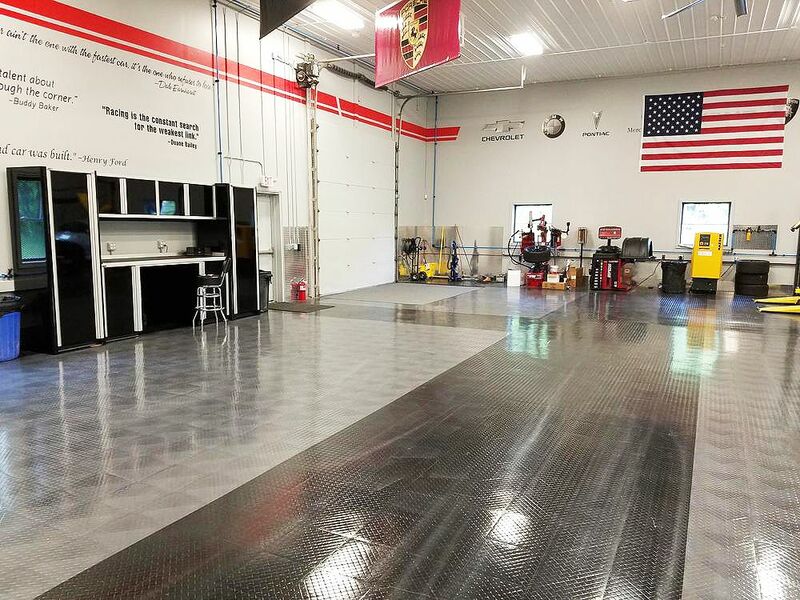 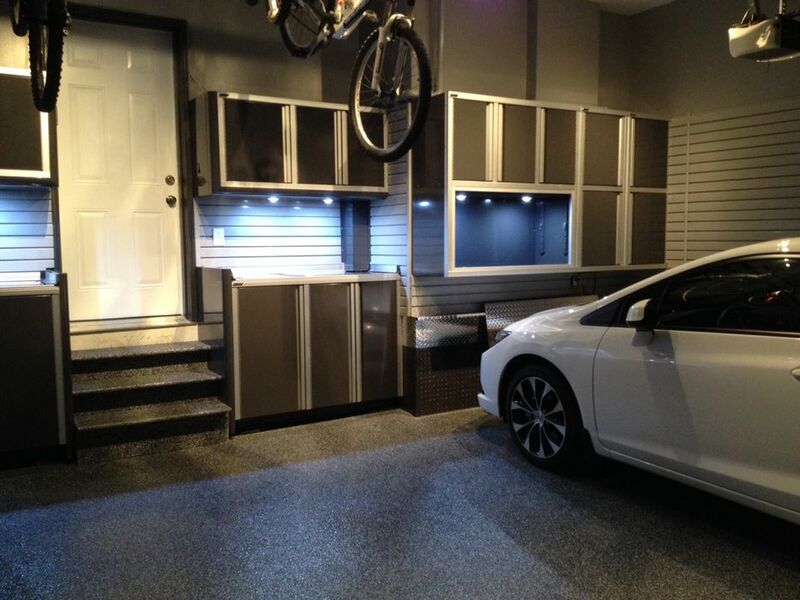 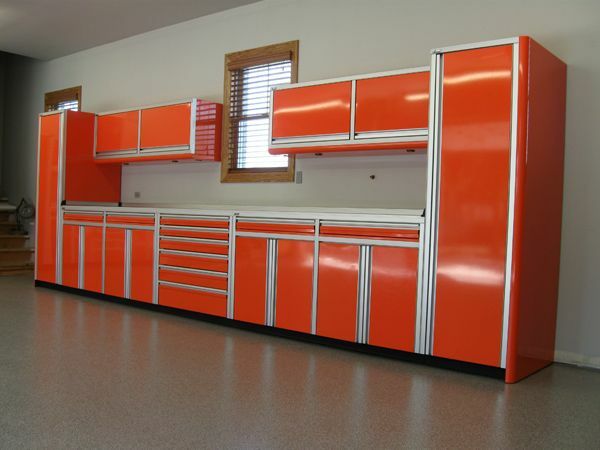 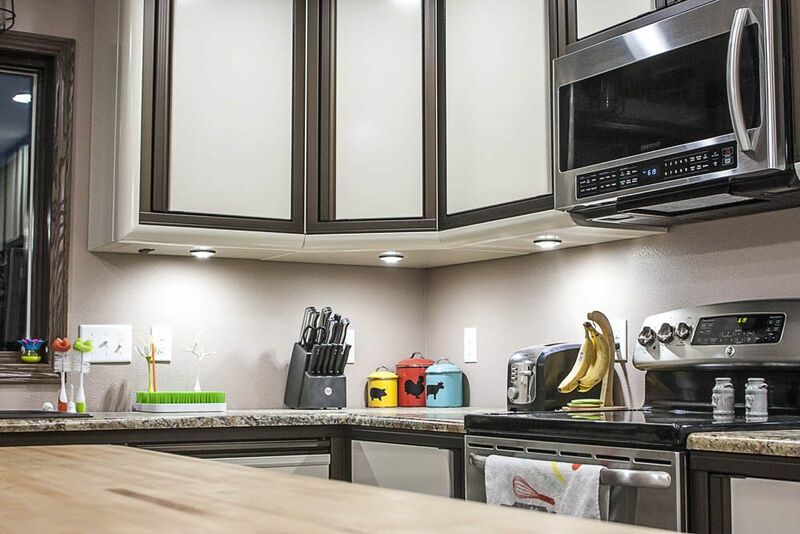 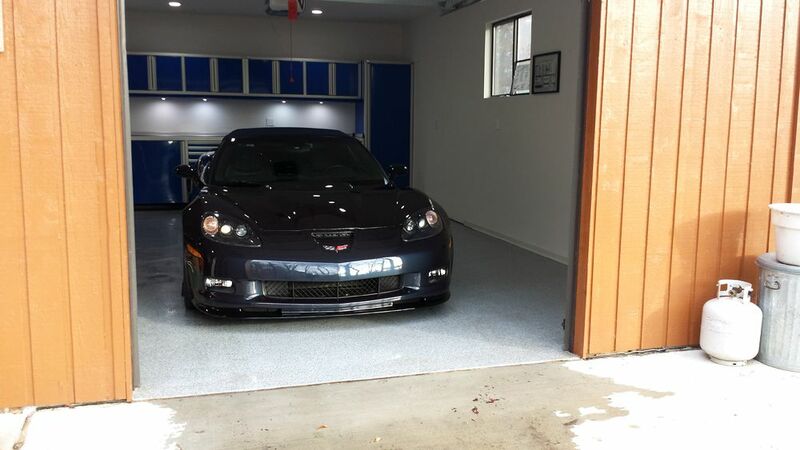 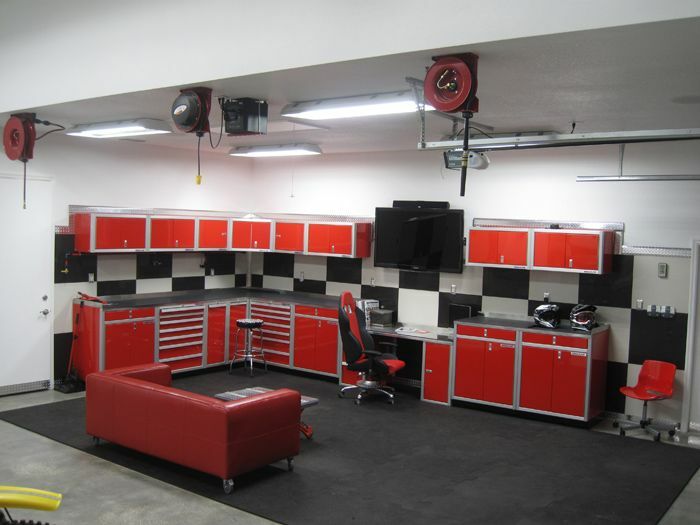 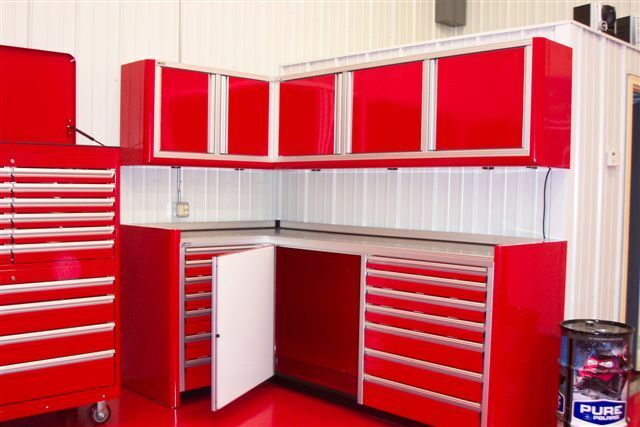 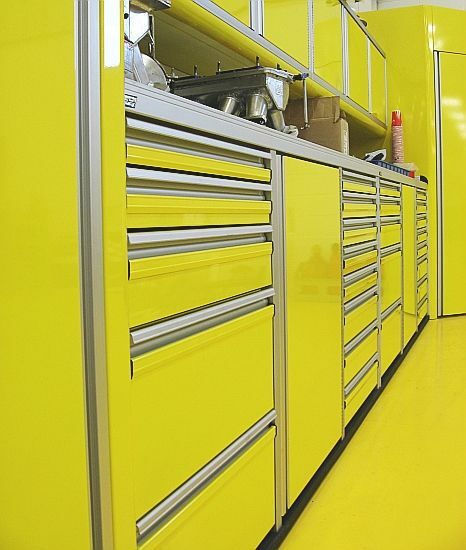 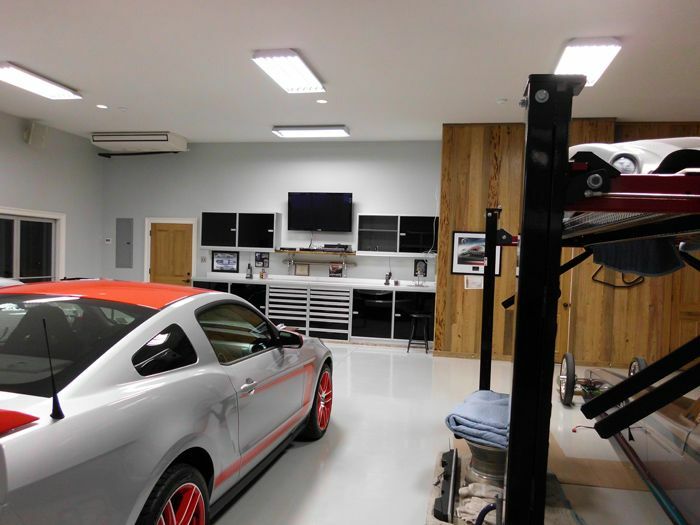 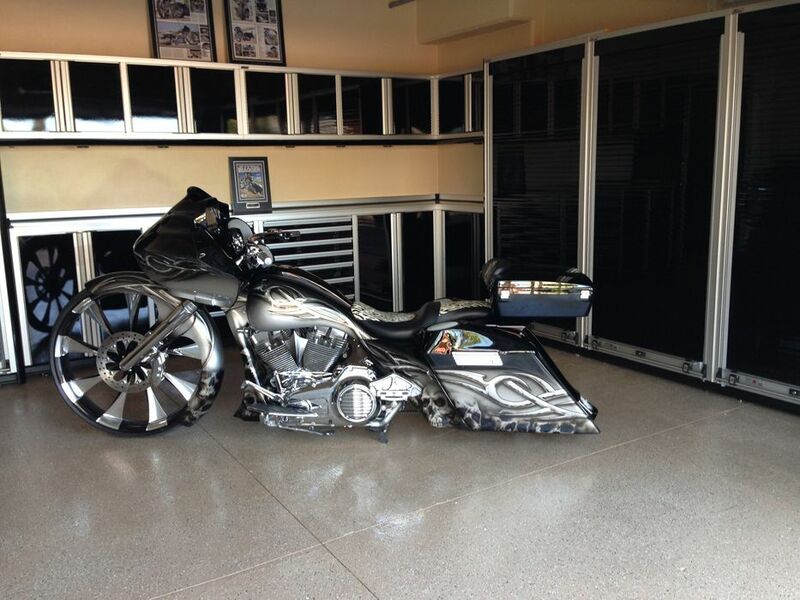 If you're looking for a custom cabinets that not only look good, but are designed to take a beating in the most demanding garages, these are the cabinets for you. 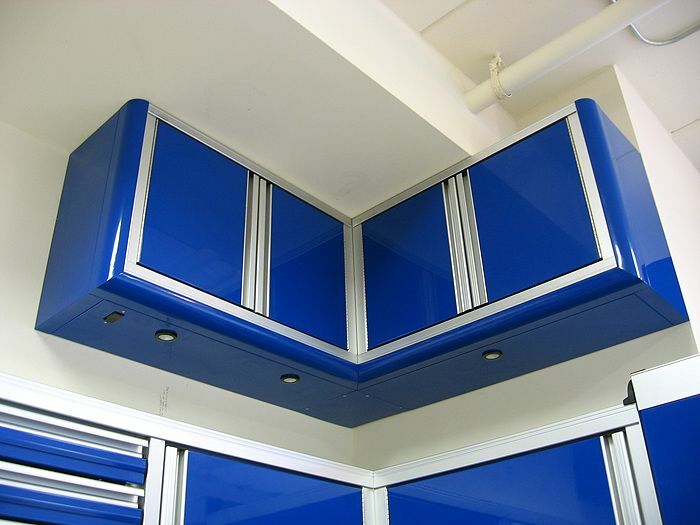 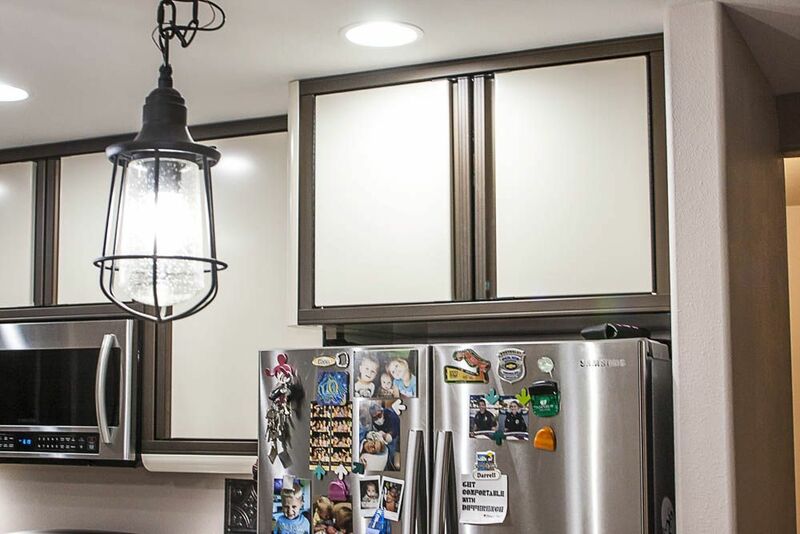 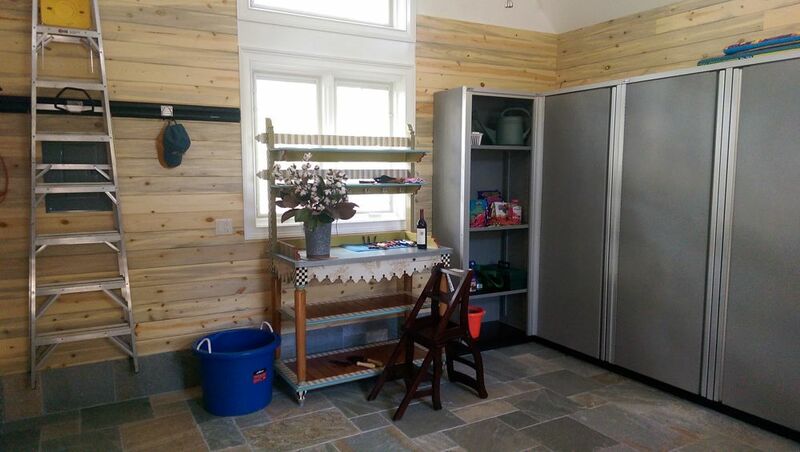 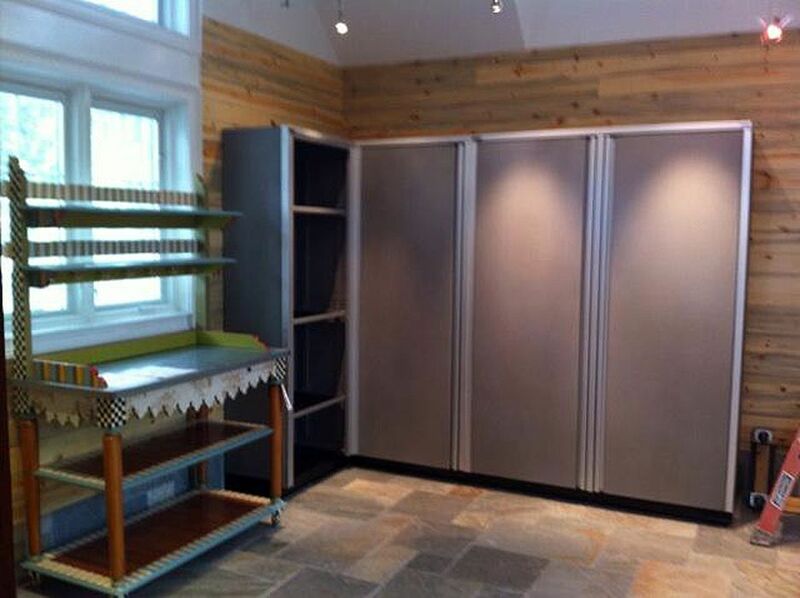 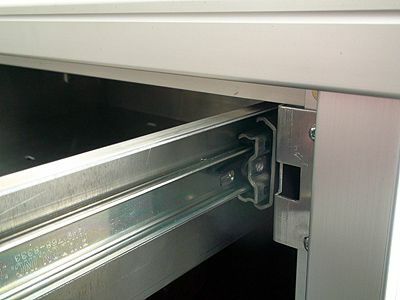 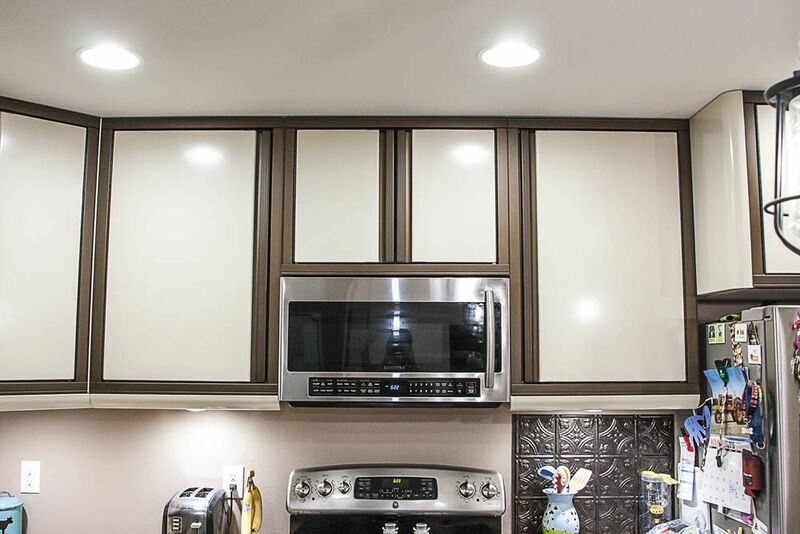 Aluminum cabinets will not rot, rust, or corrode like wood or steel cabinets making them a great solution in areas where there may be moisture from rain, melting snow, or high humidity from salty sea air. 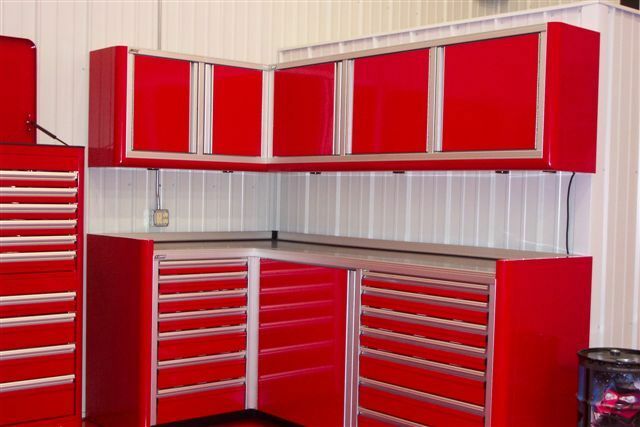 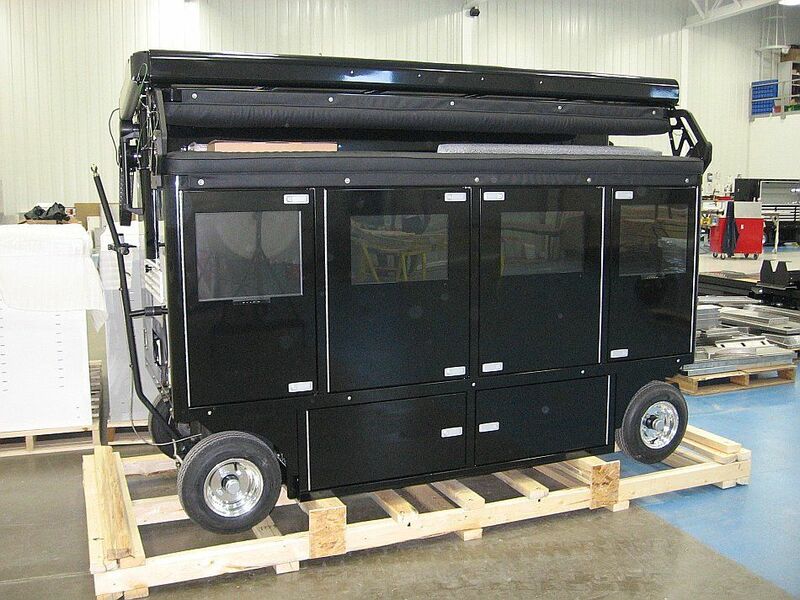 These cabinets come fully assembled and arrive to your garage on a truck, place the cabinets in your garage and you're done. 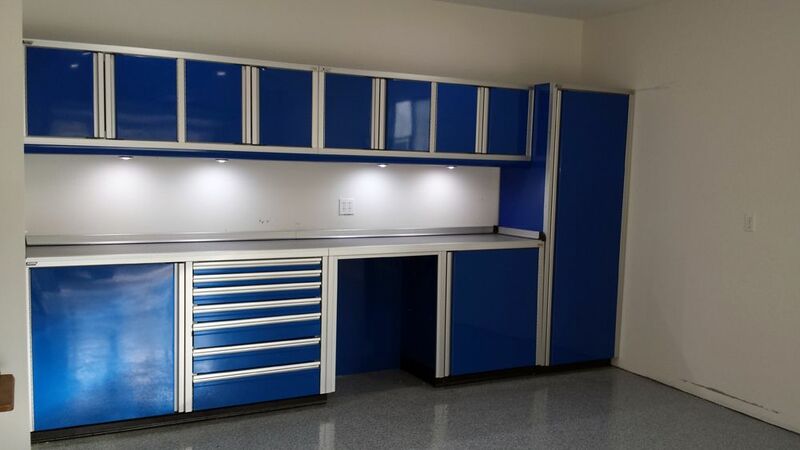 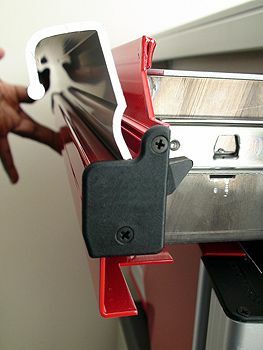 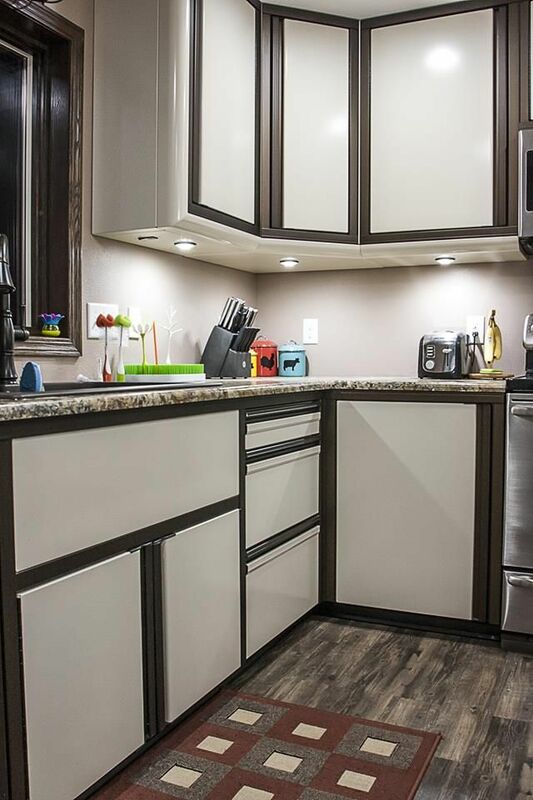 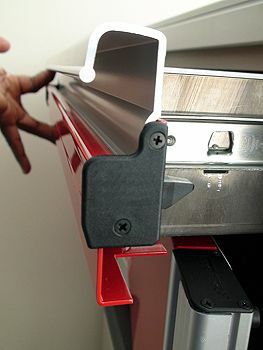 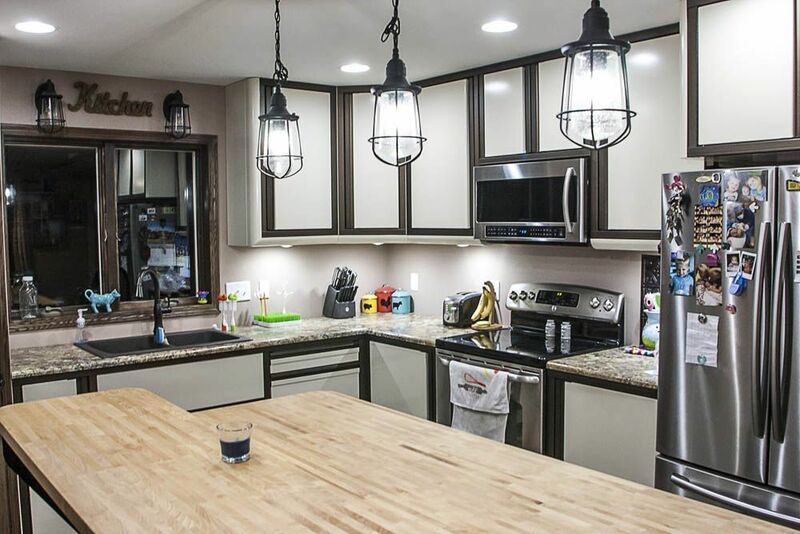 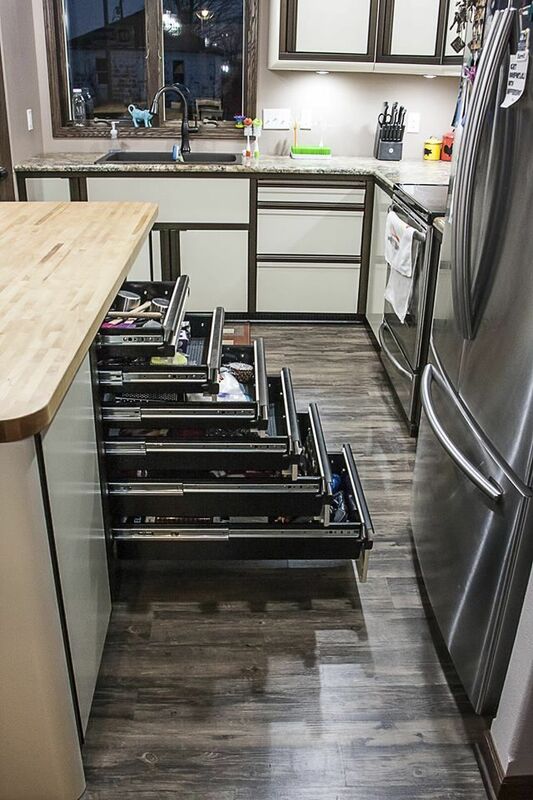 Because these cabinets are fully assembled by the manufacturer using precision tools, these cabinets are built to last with drawers latches built into the handles , gasket sealed counter tops so that spills don't end up inside the cabinets, and adjustable shelving that locks into position. 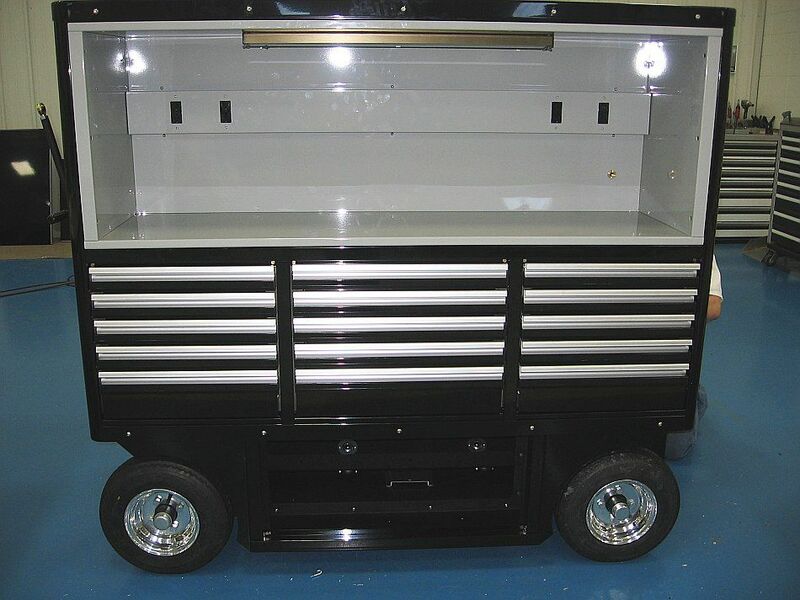 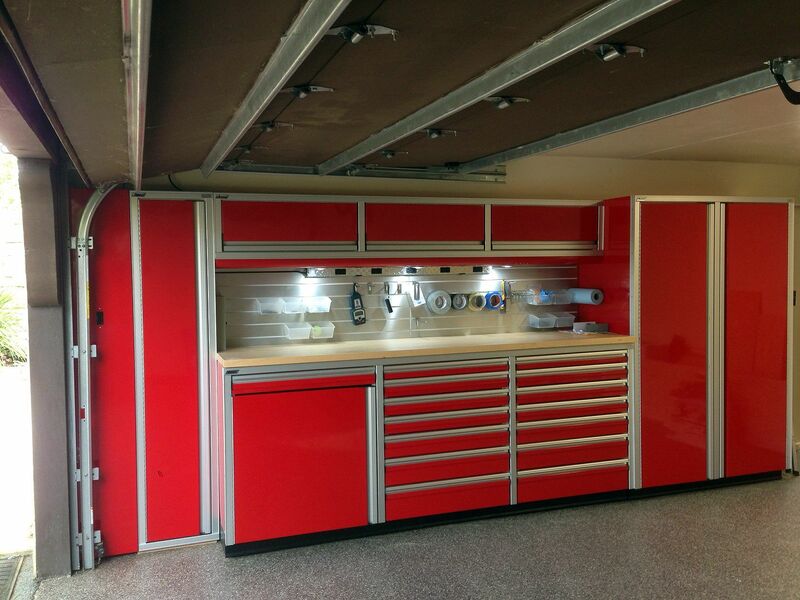 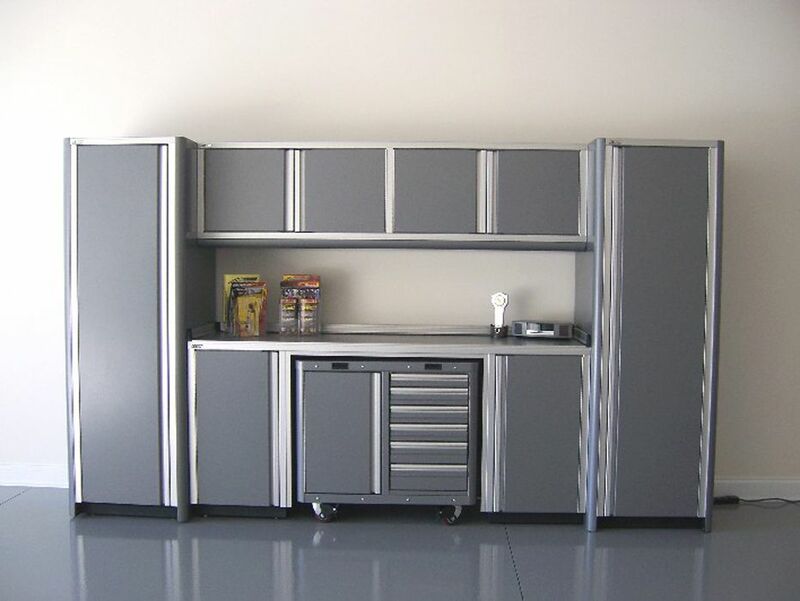 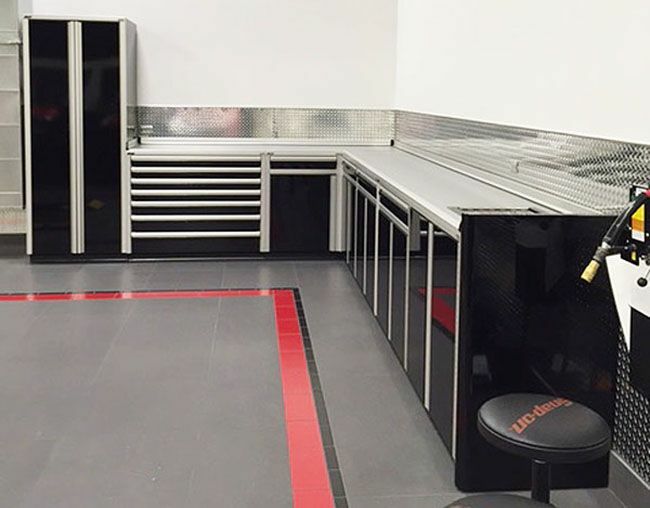 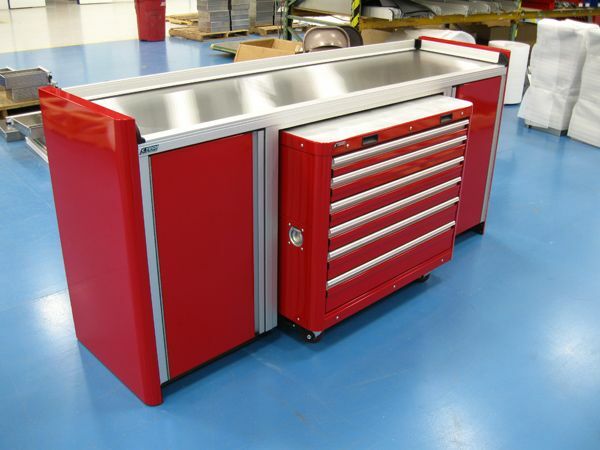 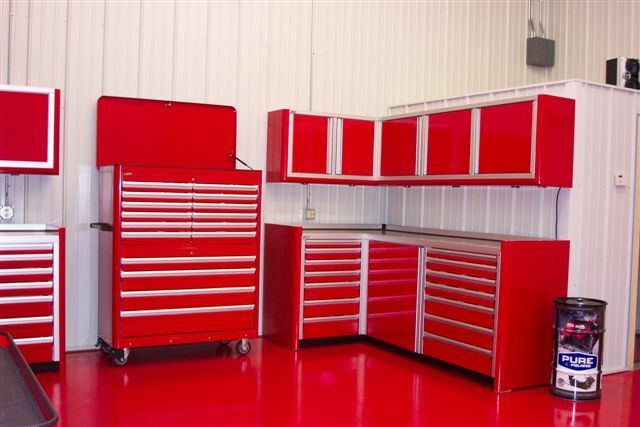 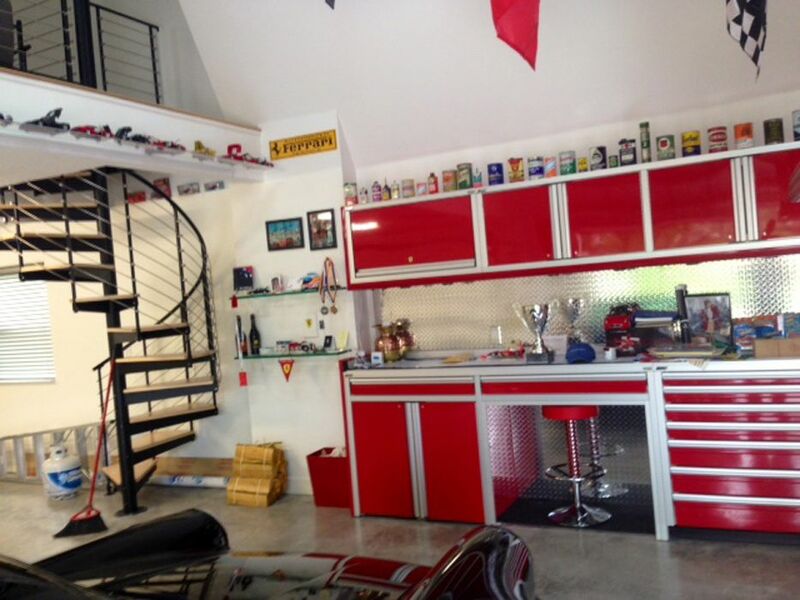 These cabinets have been designed by real car guys who work on real race cars, you will not be disappointed in detailed craftsmanship of these aluminum cabinets. 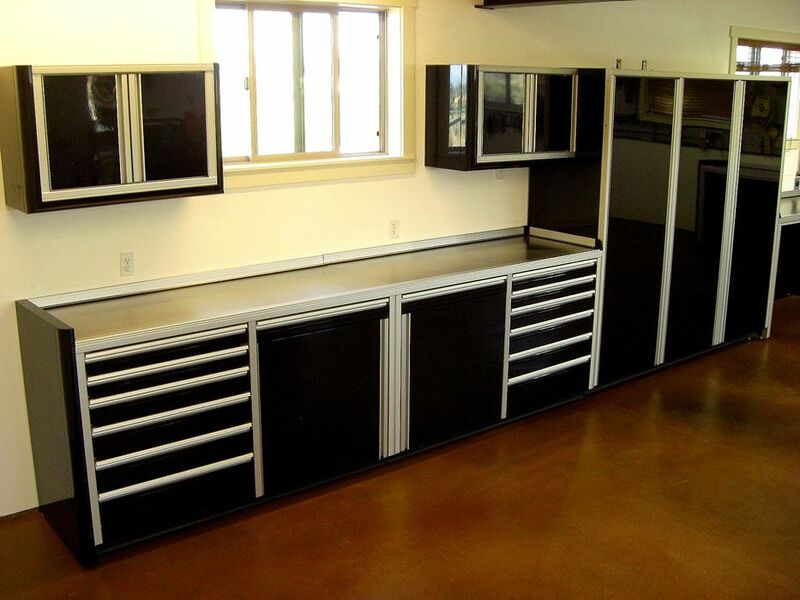 These cabinets are completely customizable. 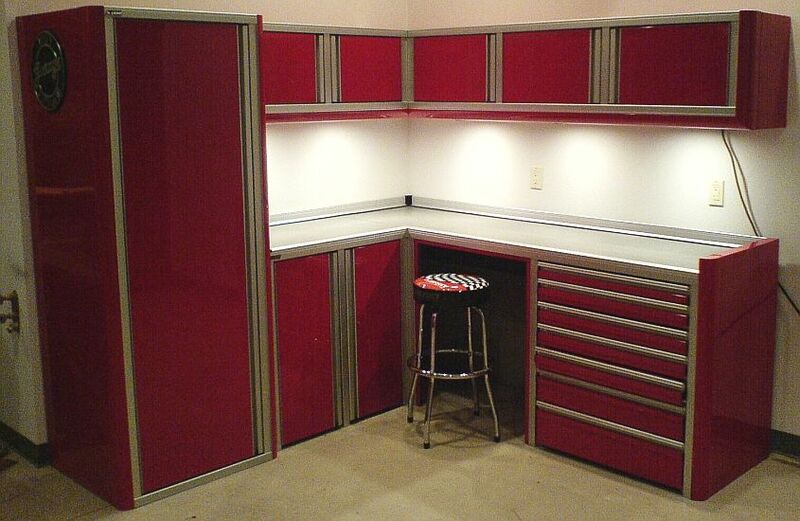 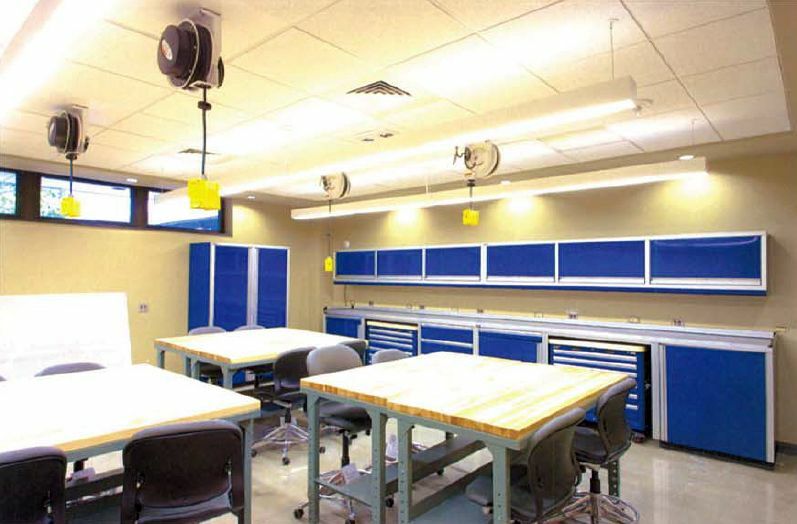 Create your own configurations from the cabinets below, adjust dimensions, or choose your own colors. 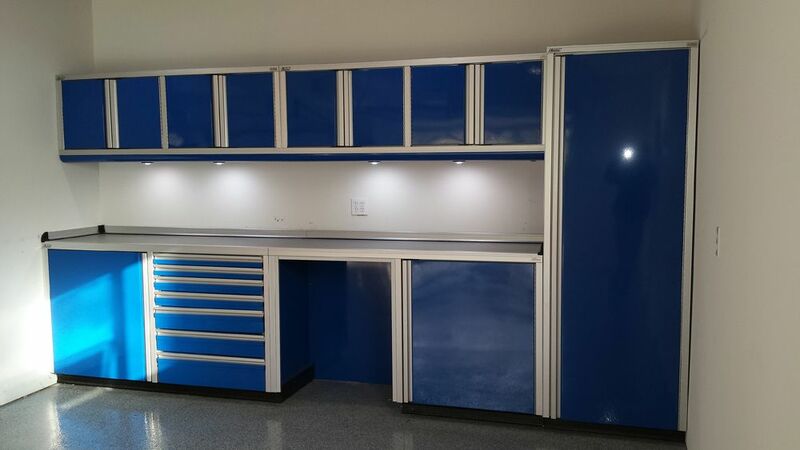 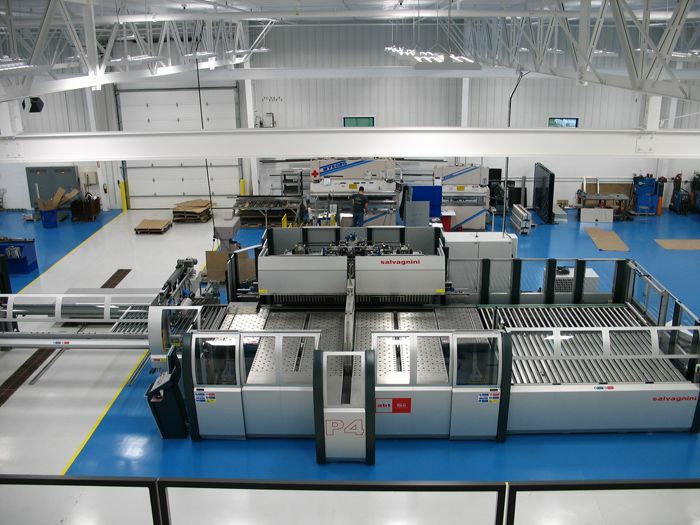 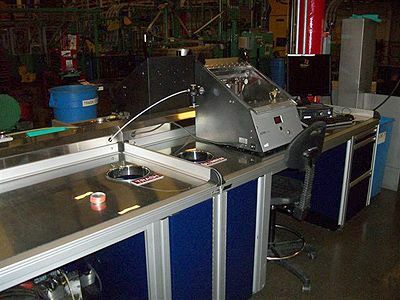 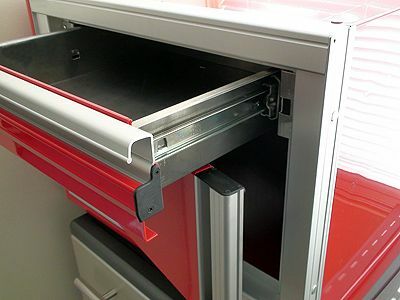 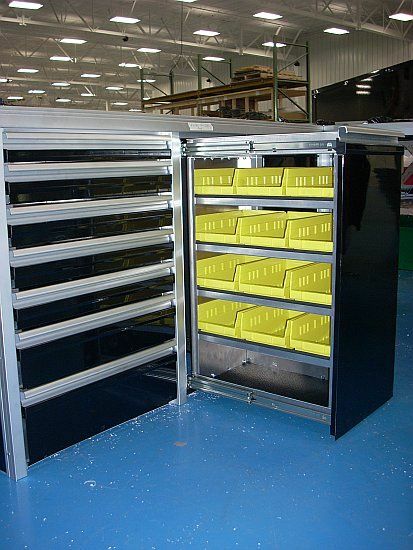 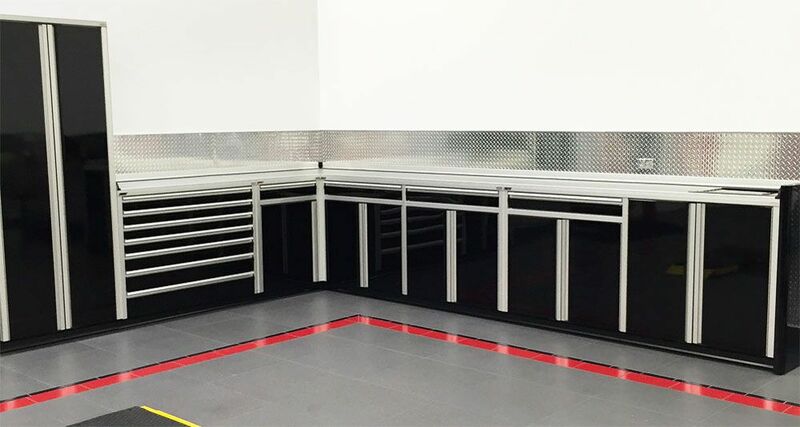 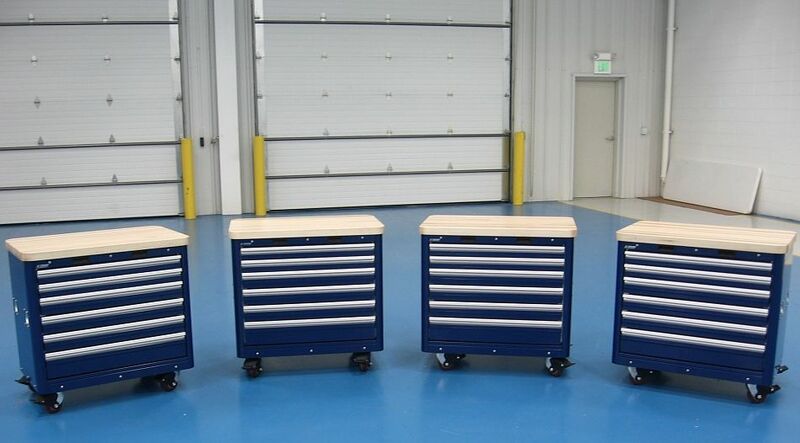 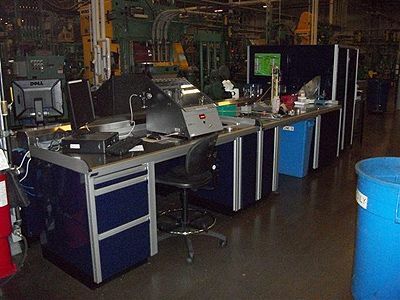 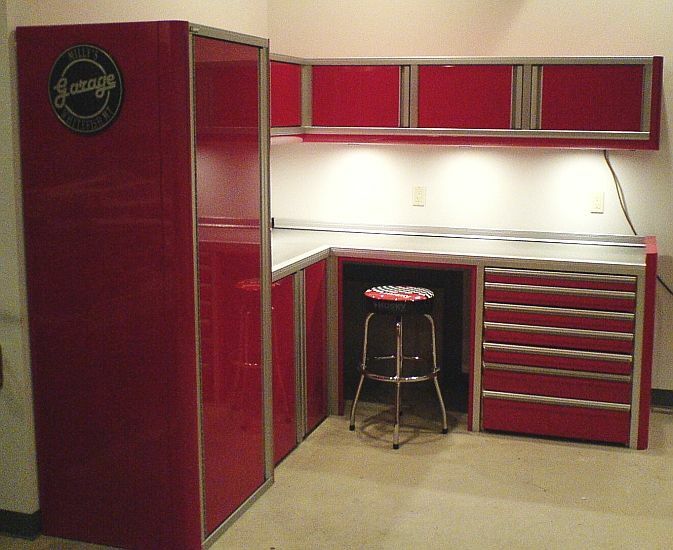 If you can dream up a storage solution made up from these aluminum cabinets, we'd be happy to set you up with a draftsman to put your dream on paper and have our shop create your masterpiece. 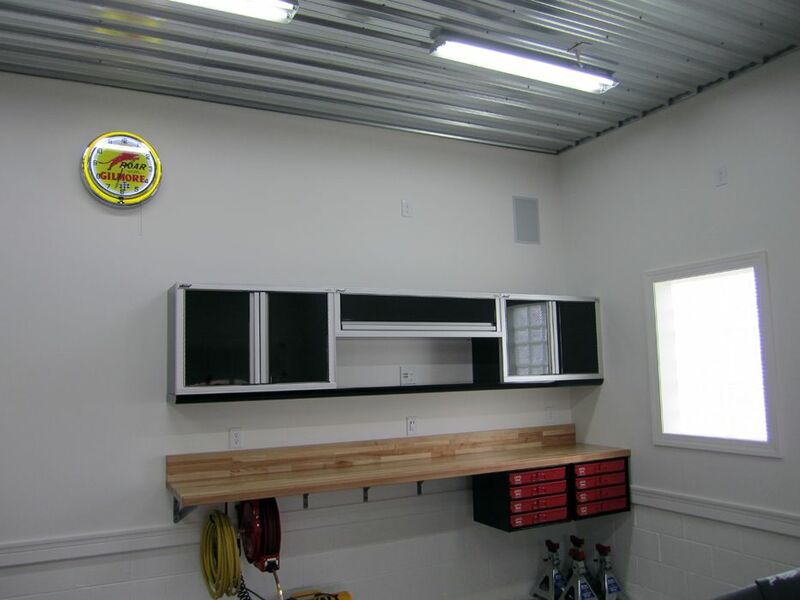 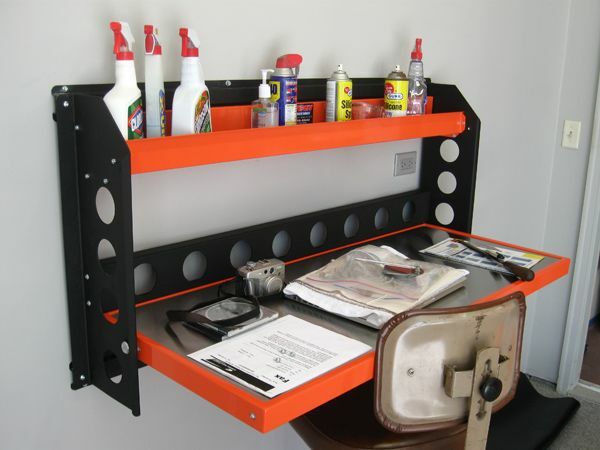 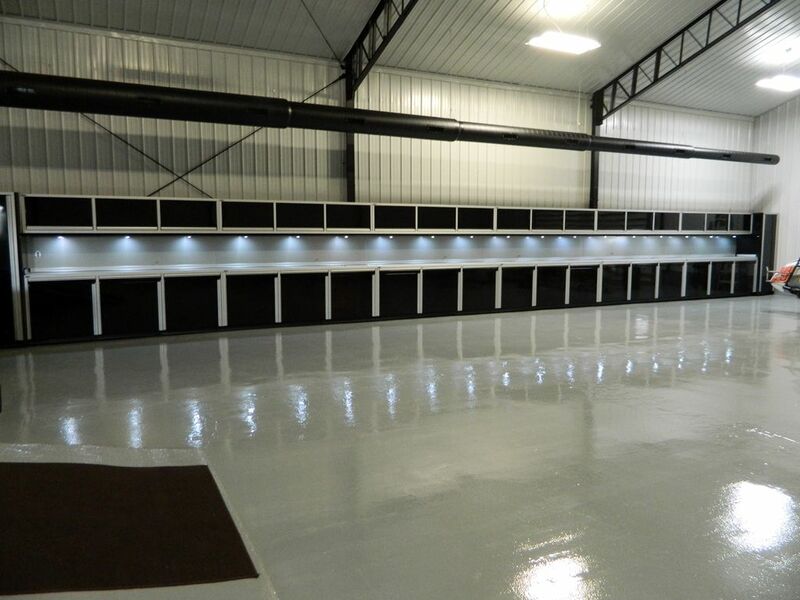 Submit your garage measurements, any obstructions, and customization requests to us and we will create a storage solution specifically for you. 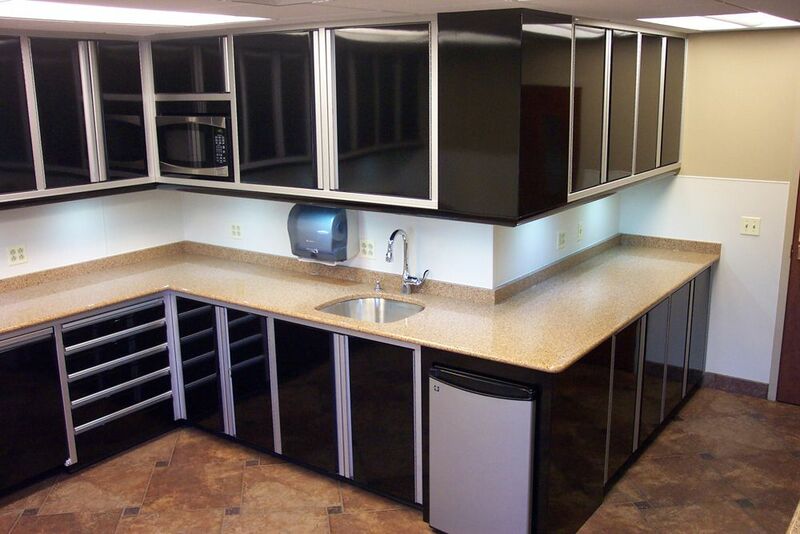 For more information, call us at 800-736-9308.